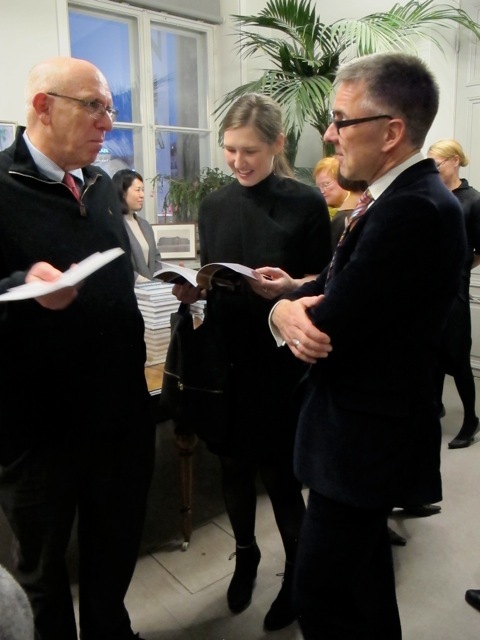 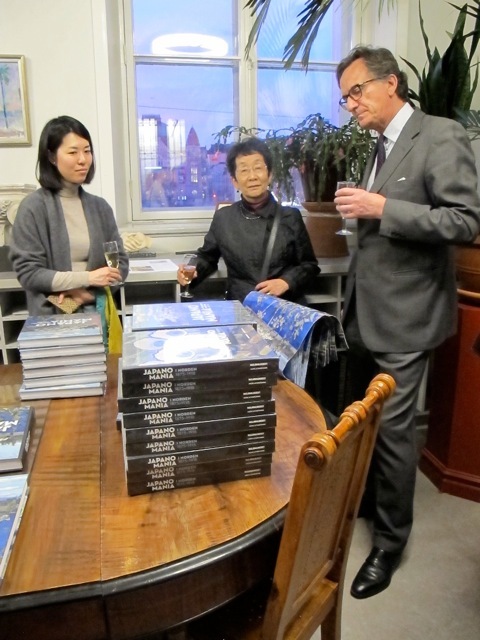 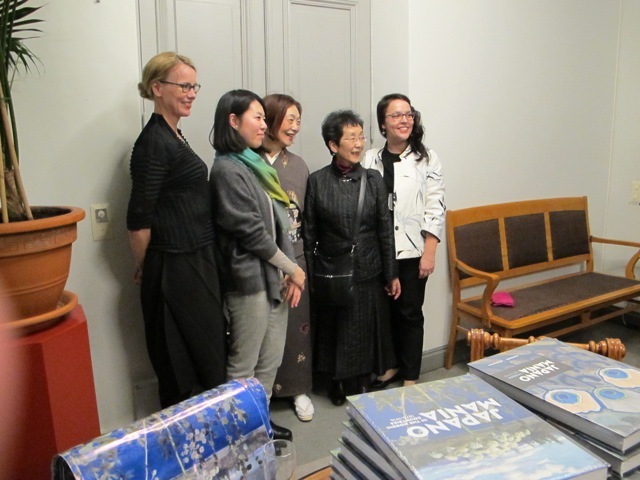 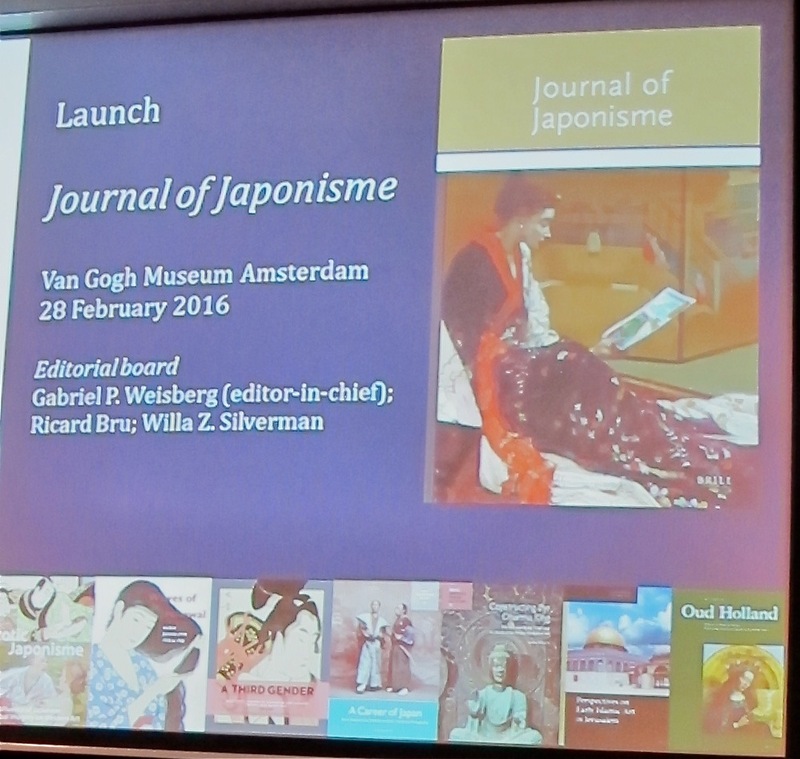 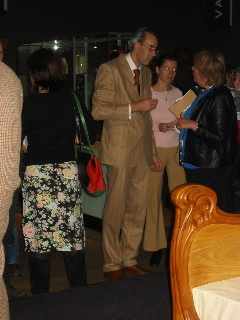 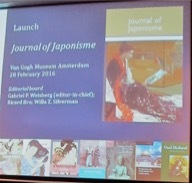 Launch event for the new JOURNAL OF JAPONISME published by Brill ( in Leiden) both electronically and in hard copy twice a year. 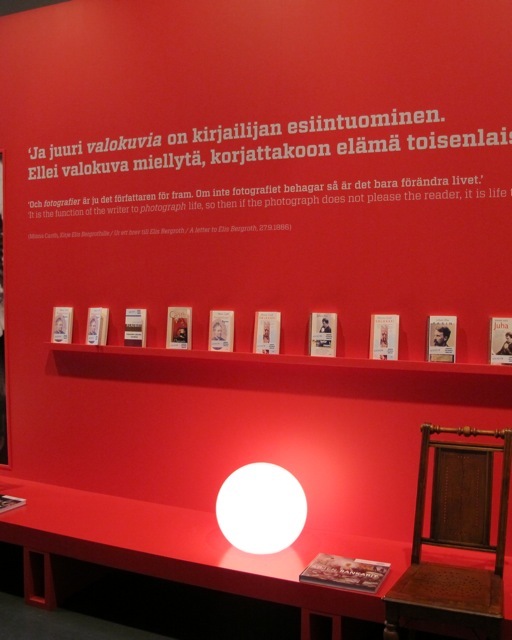 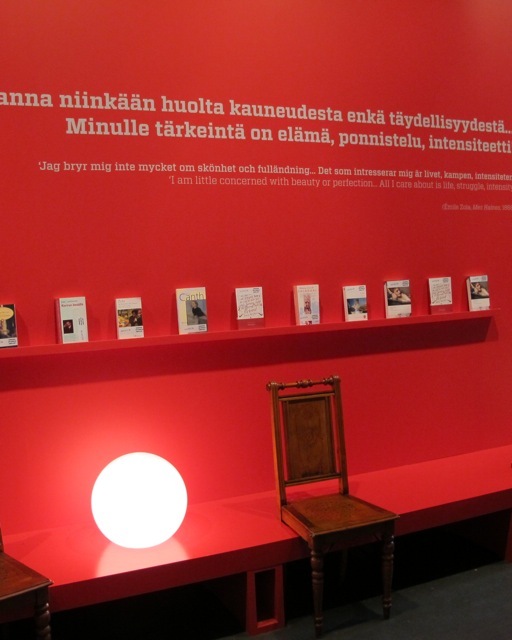 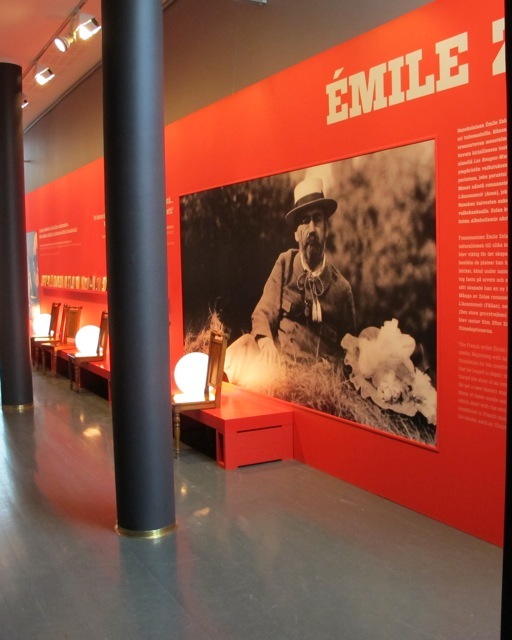 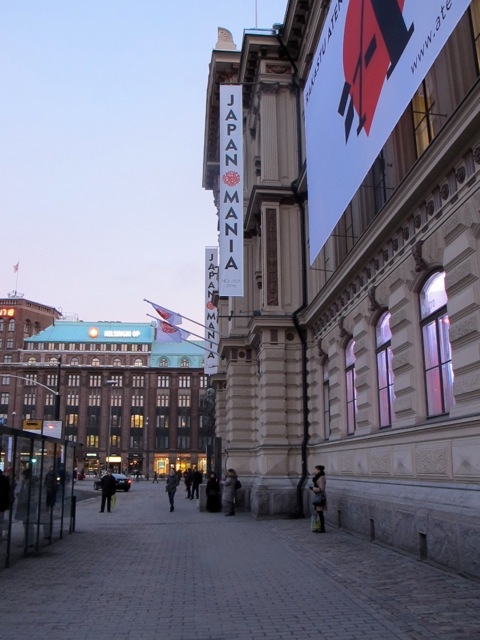 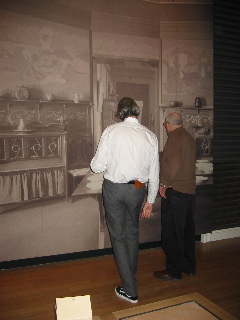 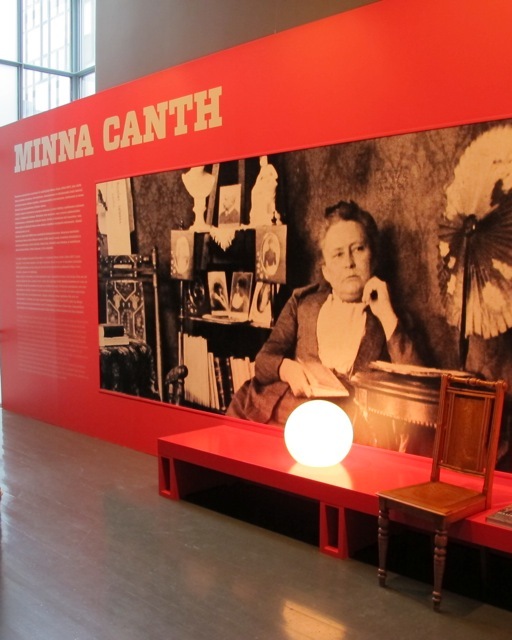 "Japanomania in the Nordic Countries 1875-1918 opens on 18 February, taking over the entire third floor of the museum. 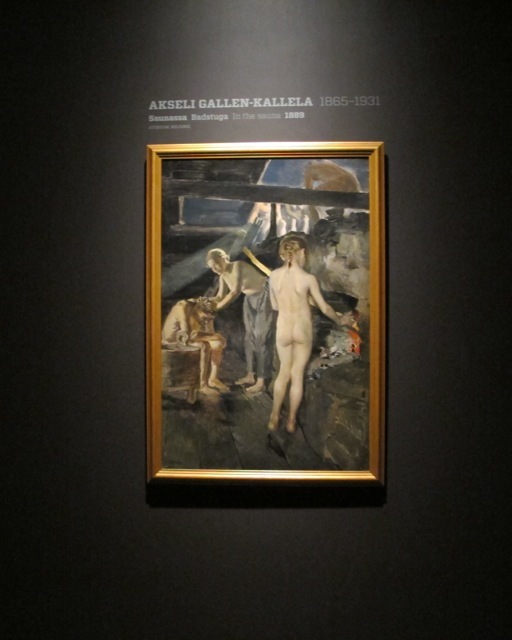 In this extensive exhibition, the opulent decorativeness of international art and design meets the delicate Nordic naturalism. 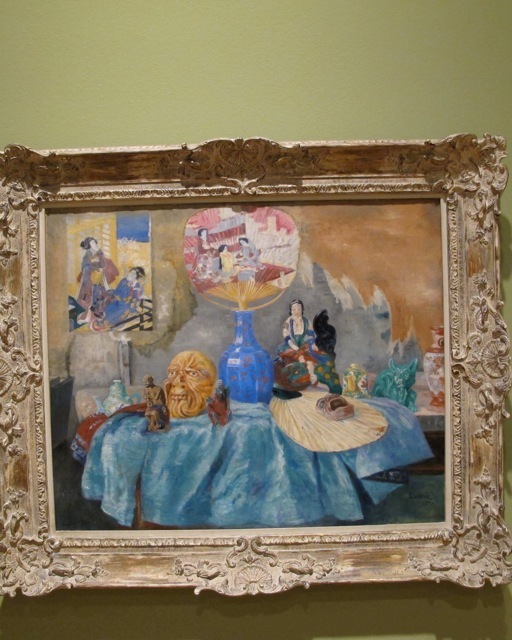 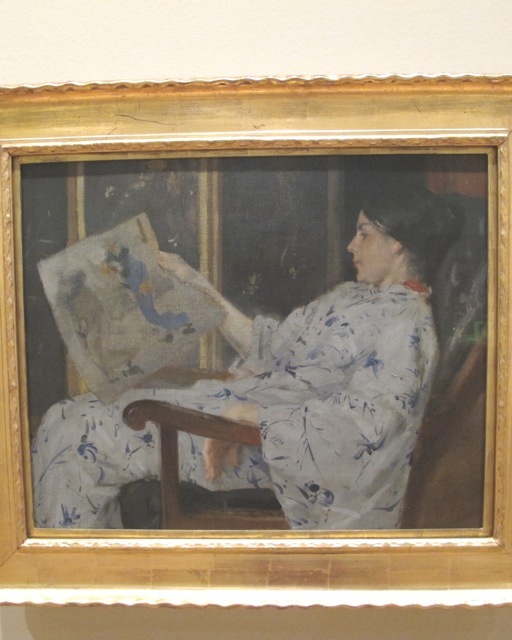 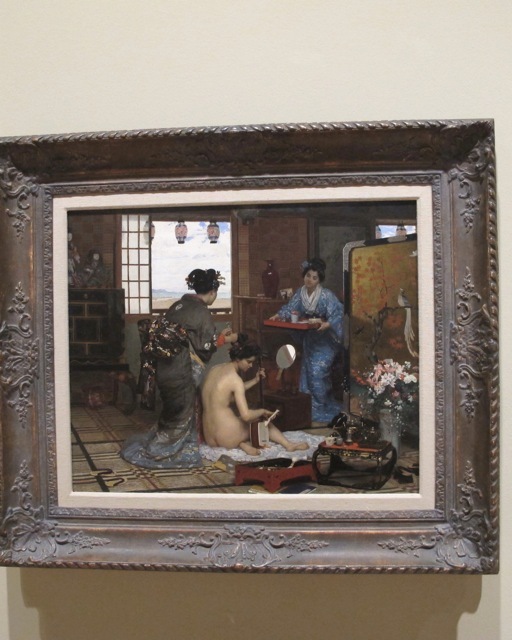 Artists such as Albert Edelfelt, Helene Schjerfbeck, Vilhelm Hammershøi, Edvard Munch, Oda Krohg, Frida Hansen, Bruno Liljefors, Paul Gauguin, Vincent van Gogh and Claude Monet were fascinated and strongly influenced by Japonism. 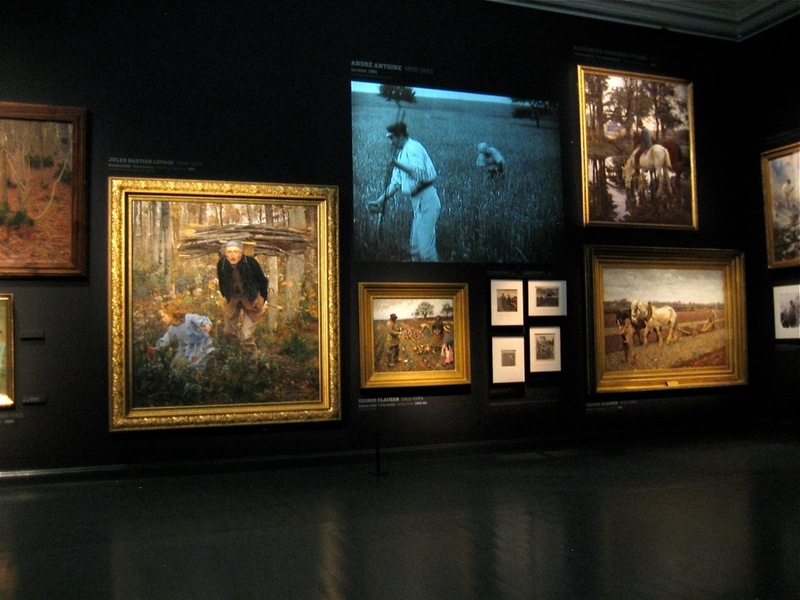 The exhibition includes more than 400 works of art and exhibits, 150 of which are on loan from abroad." 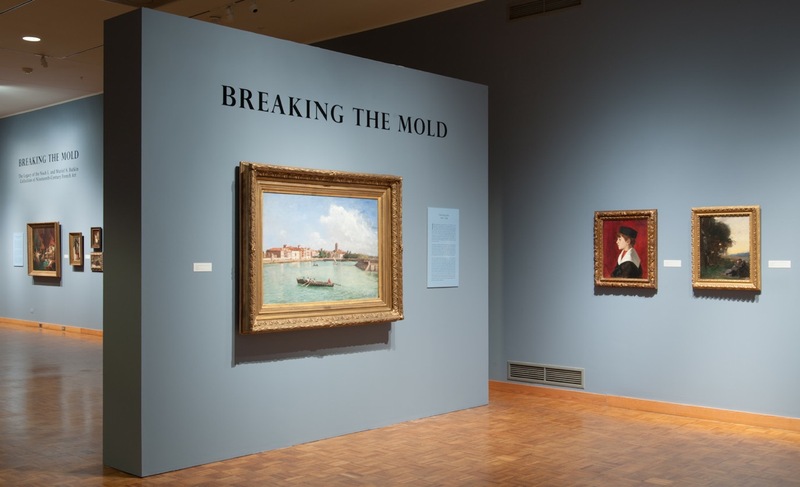 Breaking the Mold. 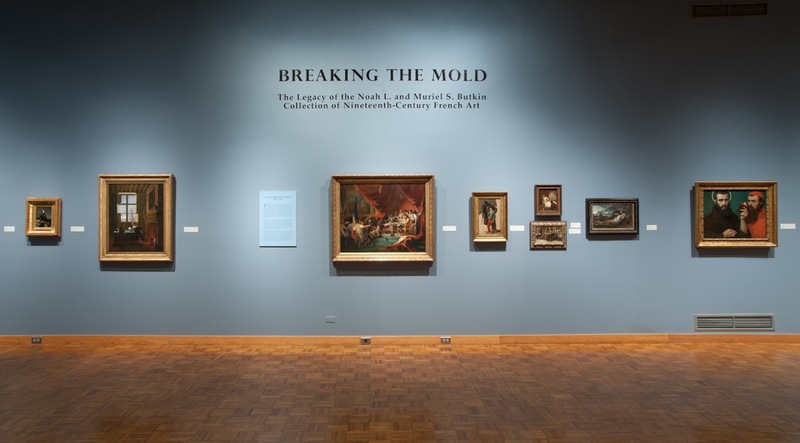 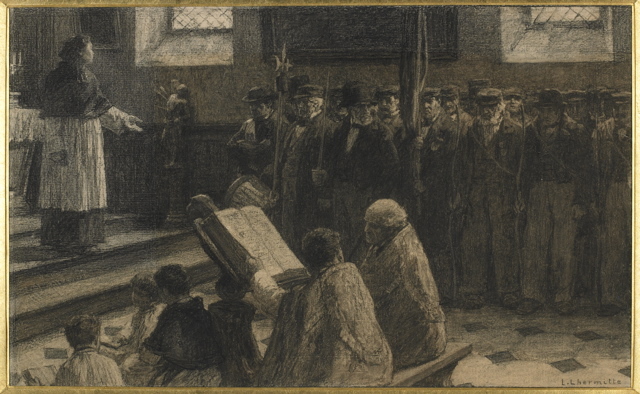 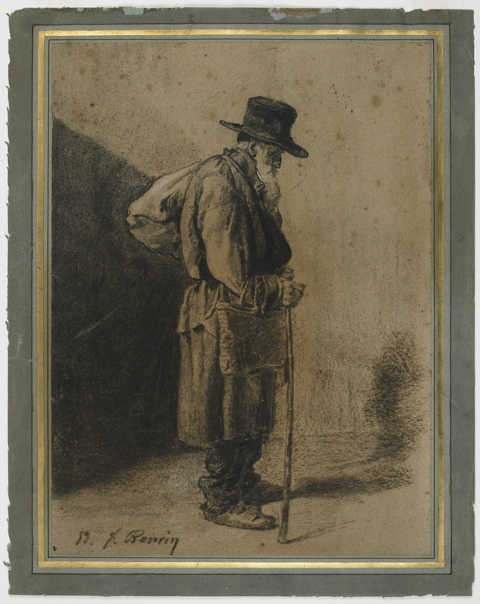 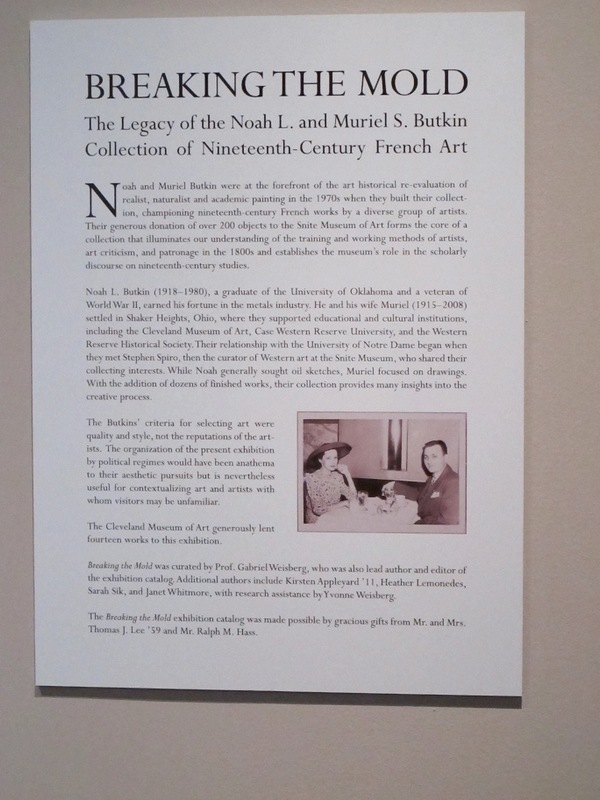 The Legacy of the Noah L. and Muriel S. Butkin Collection of Nineteenth-Century French Art, September 2-December 2, 2012 was organized by the Snite Art Museum, Notre Dame University to commemorate the legacy of Noah L. and Muriel S. Butkin to the Snite Museum where the collectors have given over two hundred works. 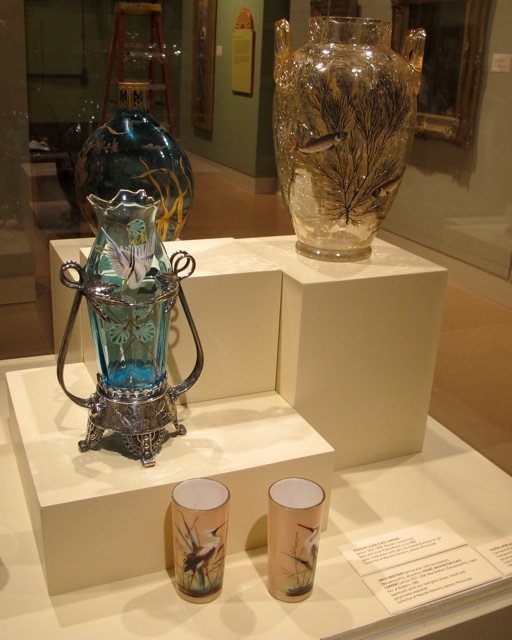 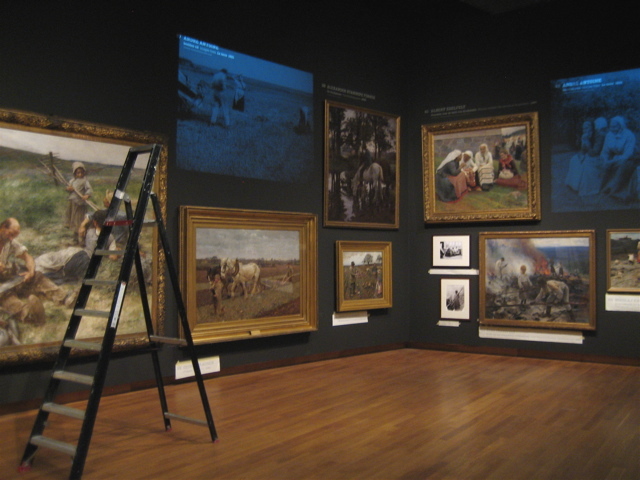 It also pays homage to their generosity to the Cleveland Museum of Art, the recipient of several hundred works, paintings and drawings. 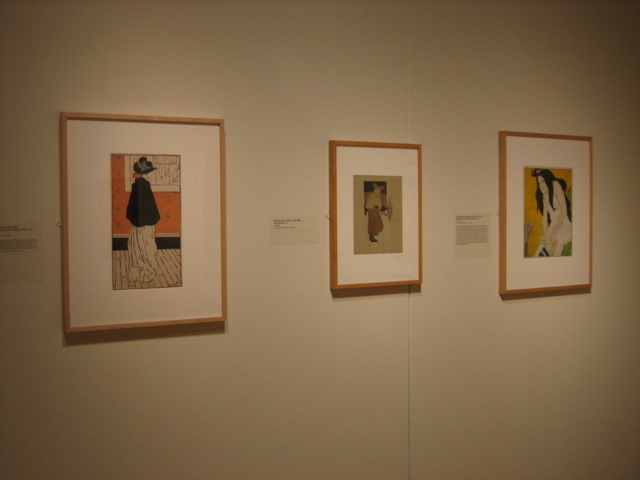 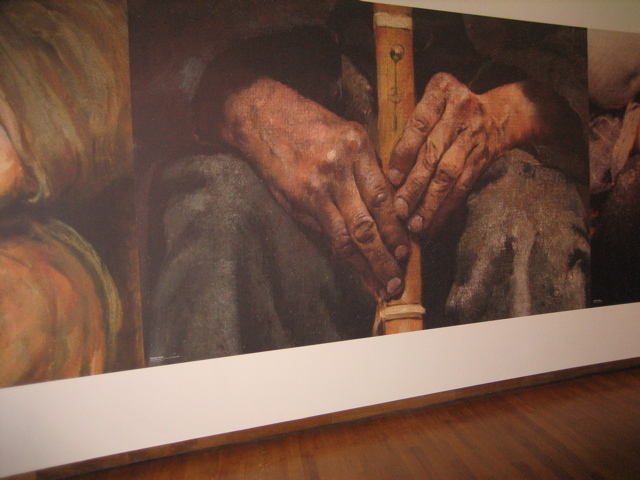 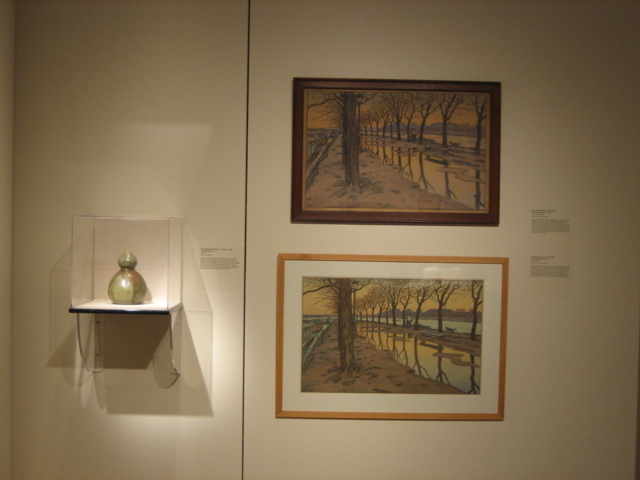 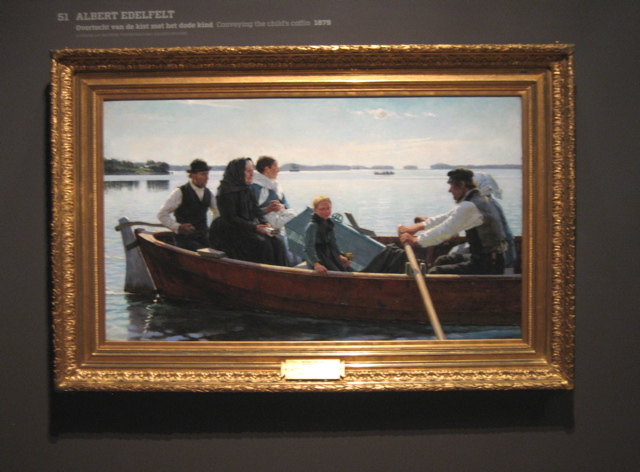 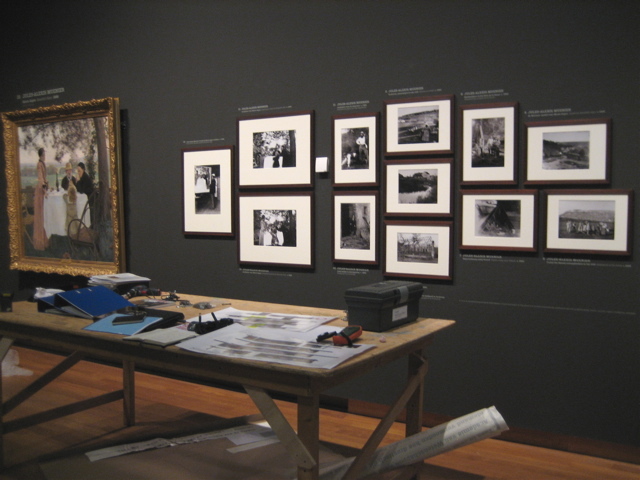 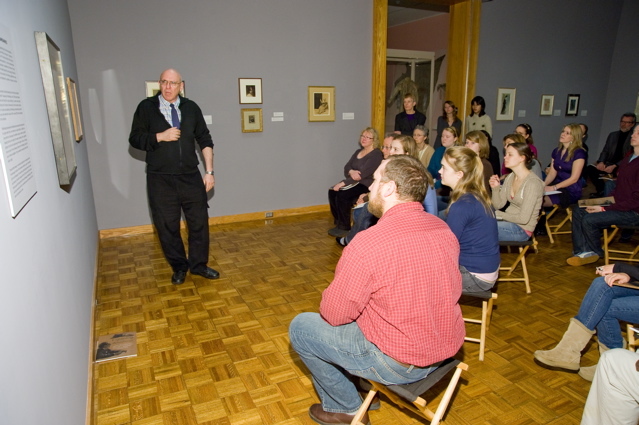 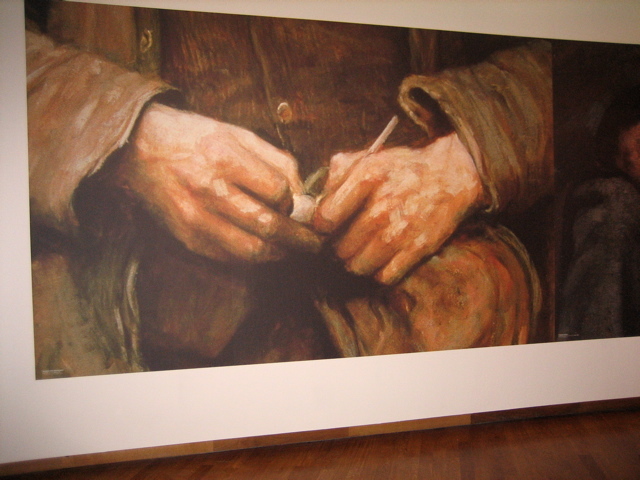 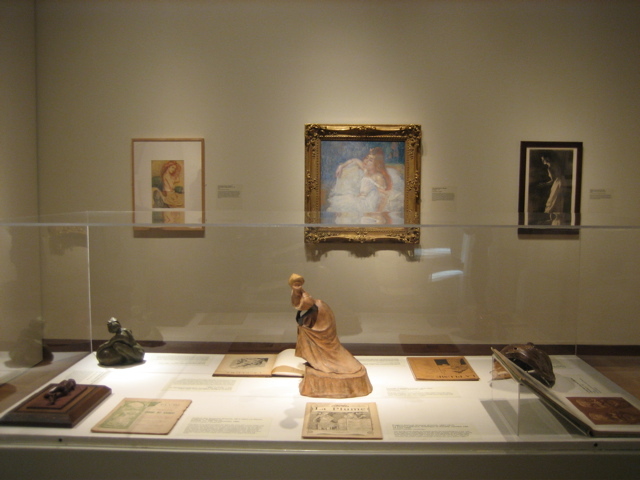 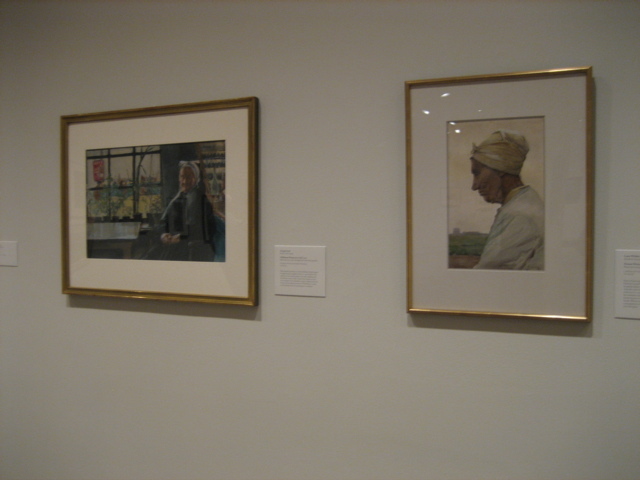 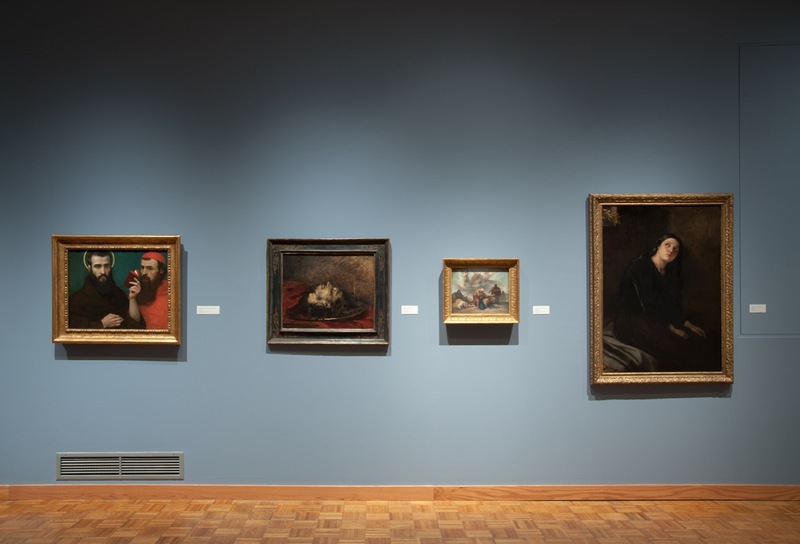 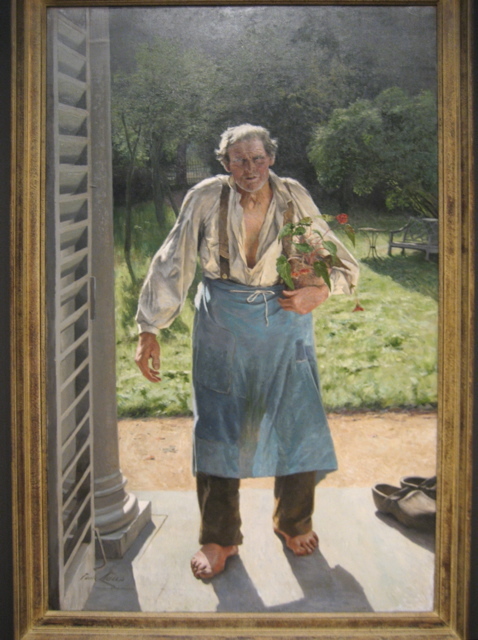 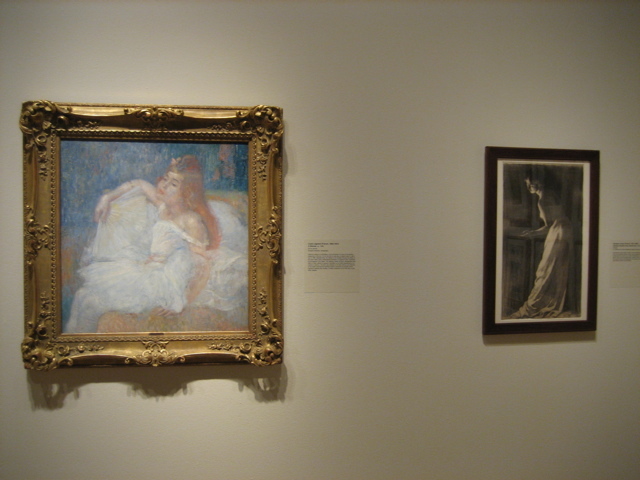 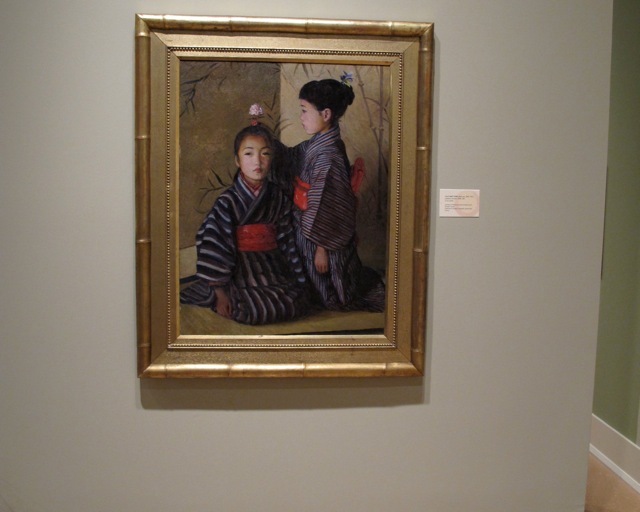 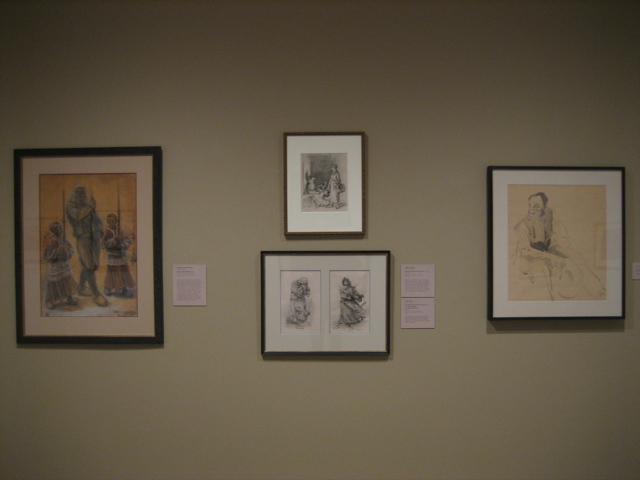 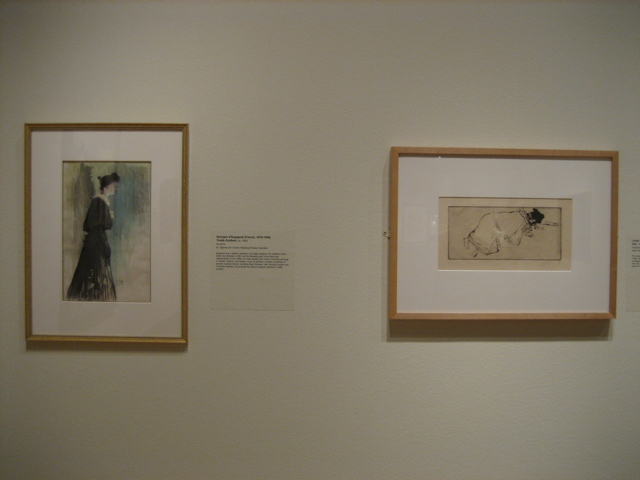 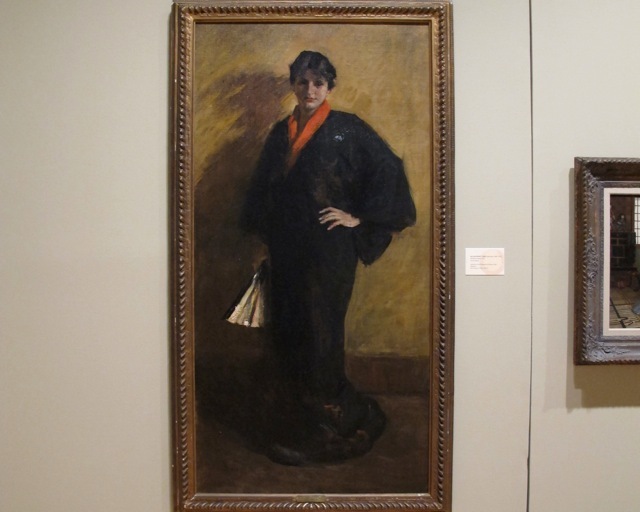 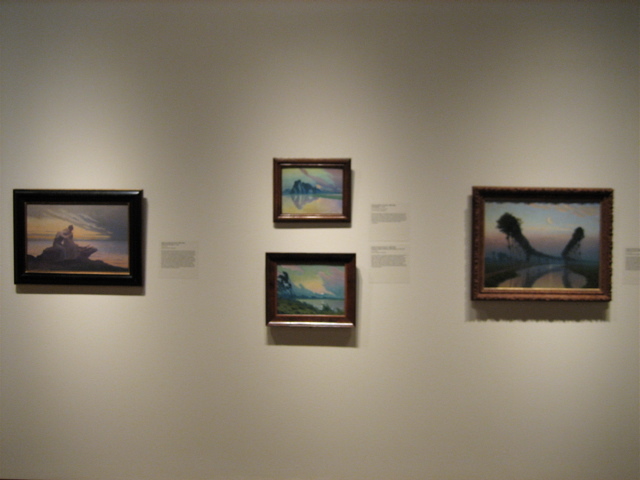 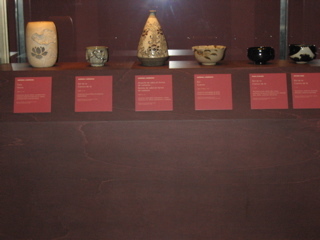 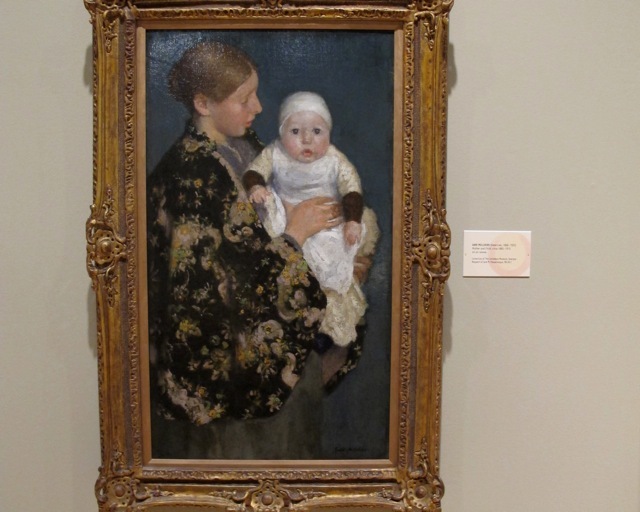 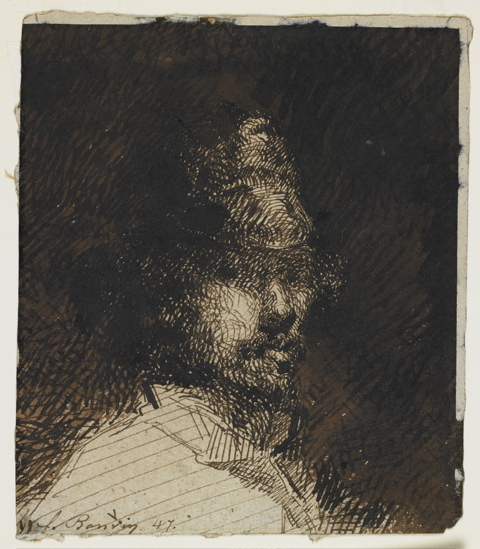 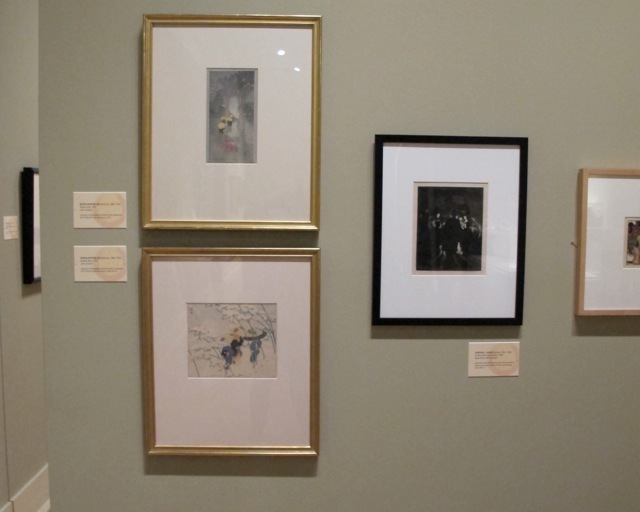 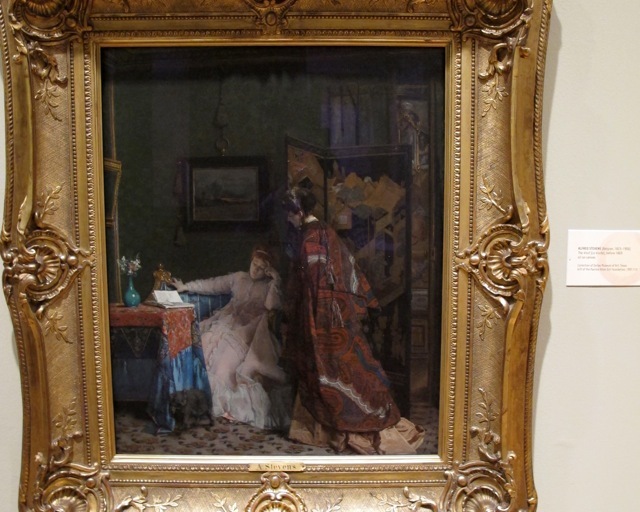 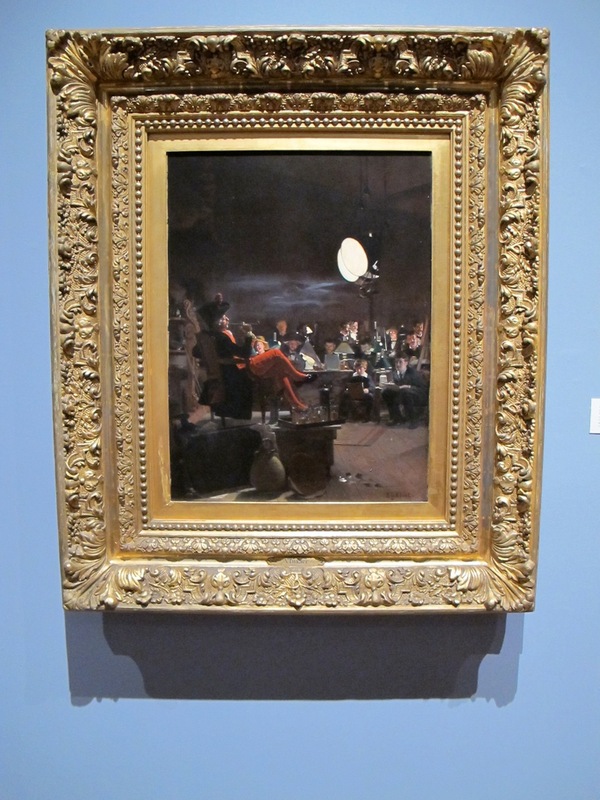 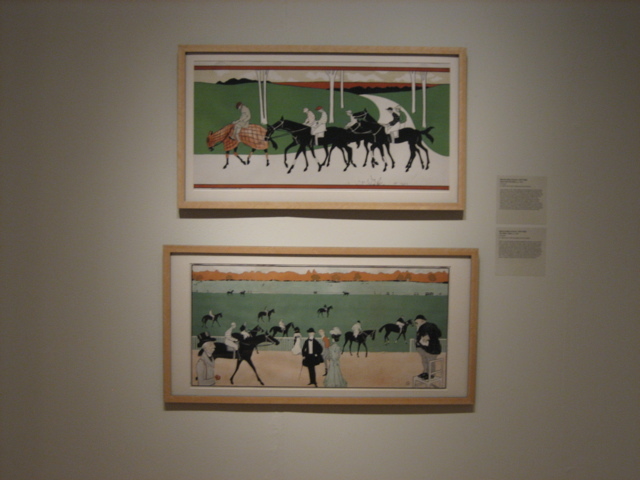 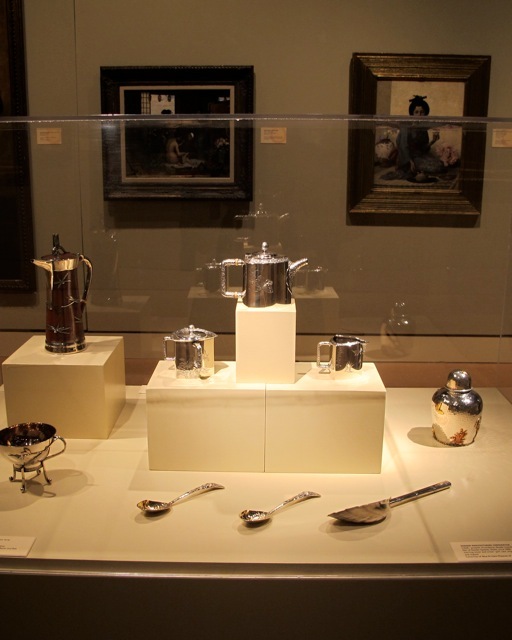 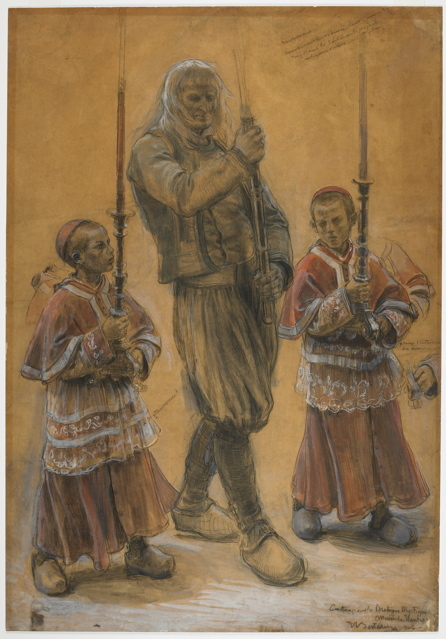 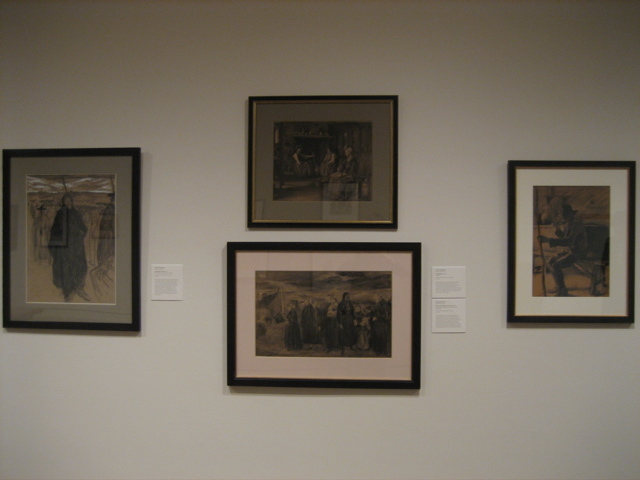 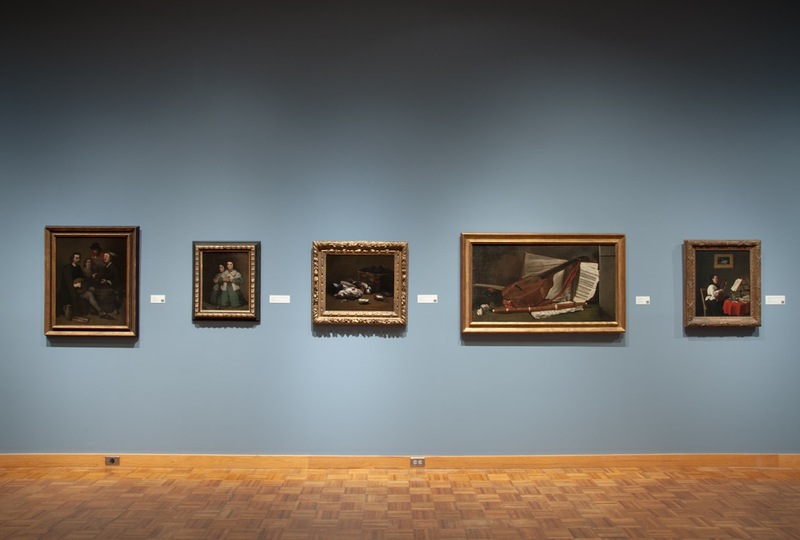 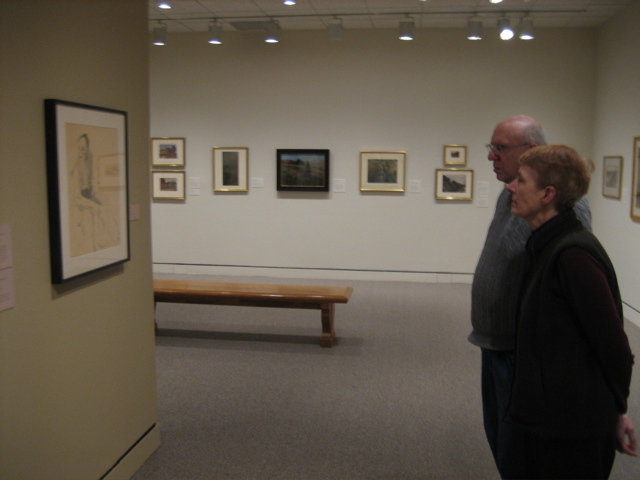 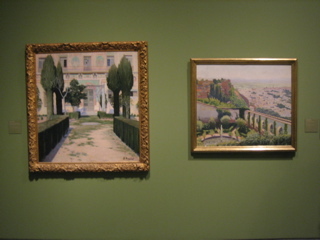 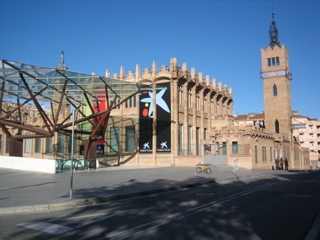 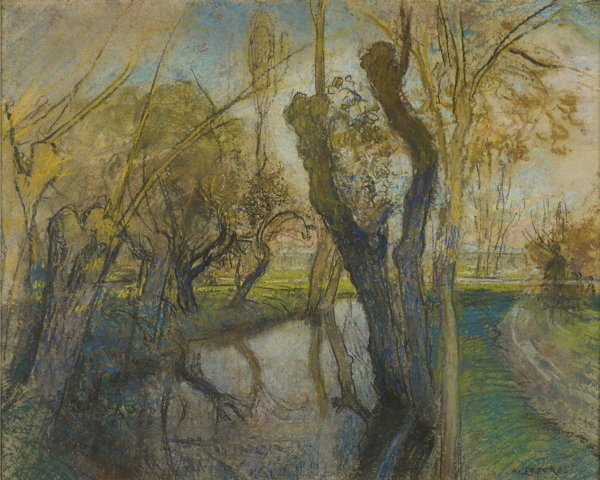 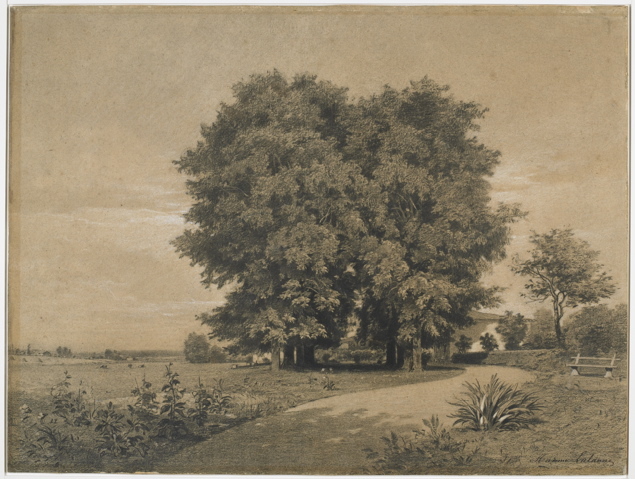 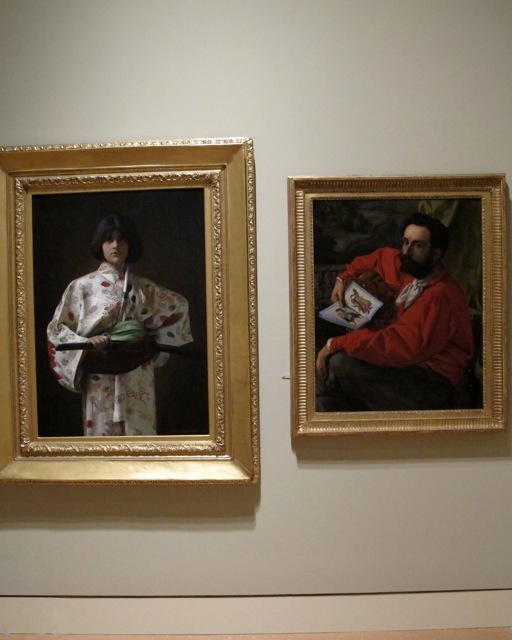 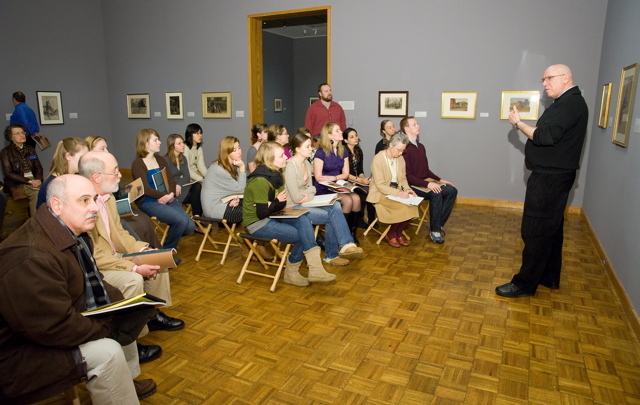 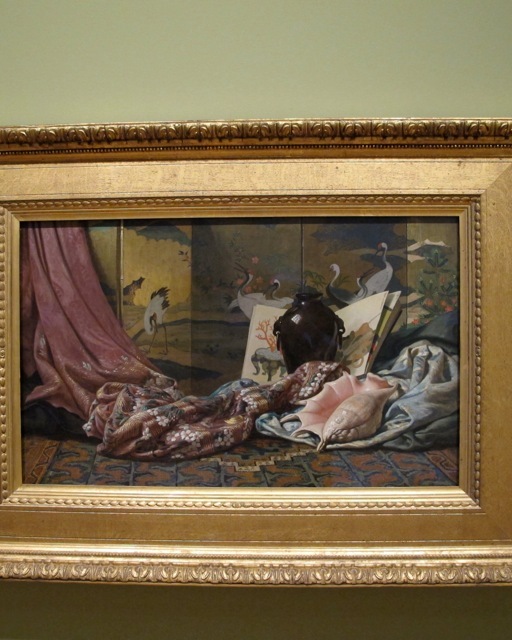 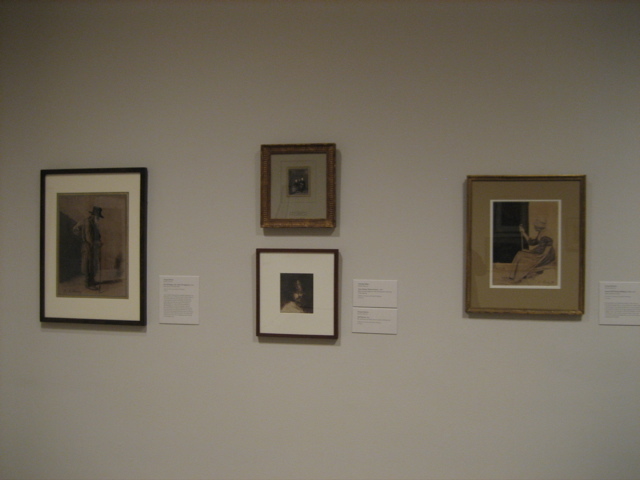 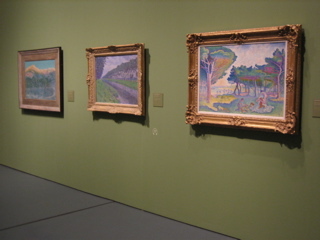 The Cleveland Museum of Art loaned several paintings and drawings given to the Museum, to the exhibition. 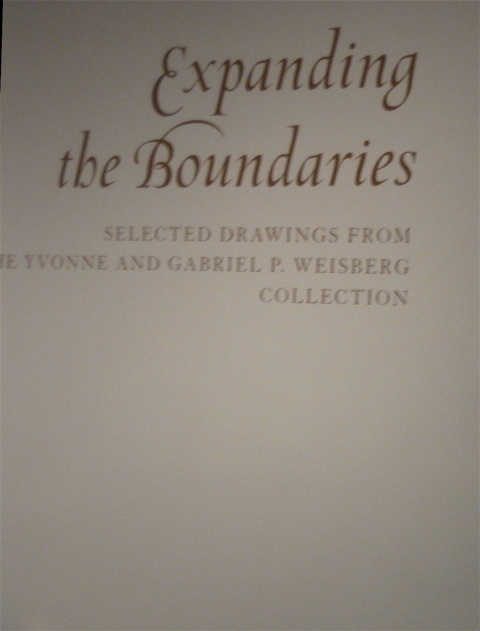 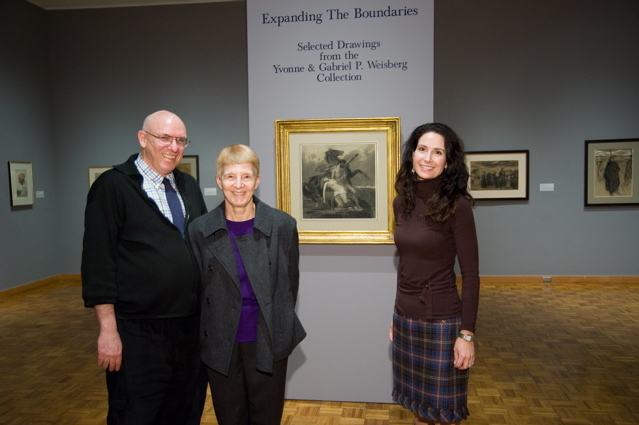 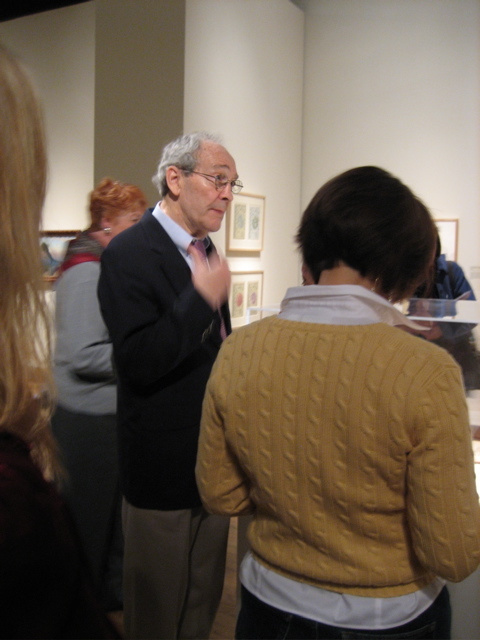 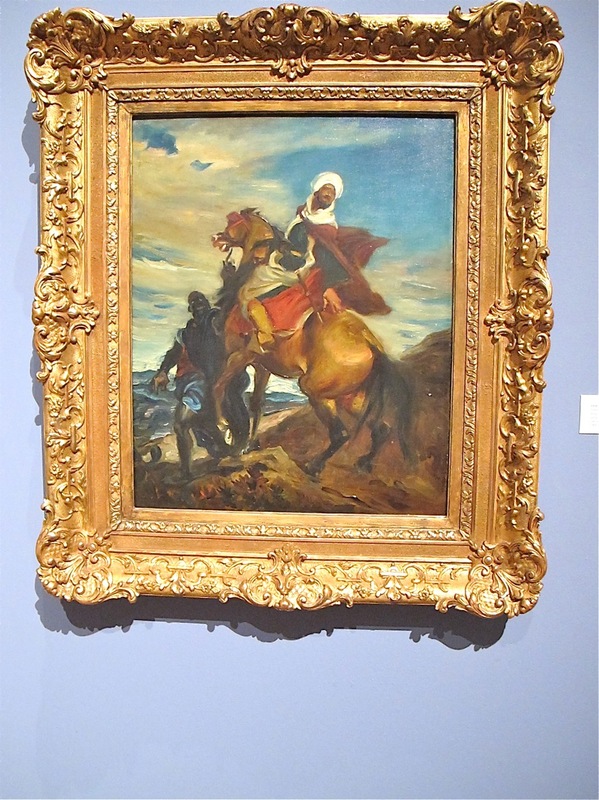 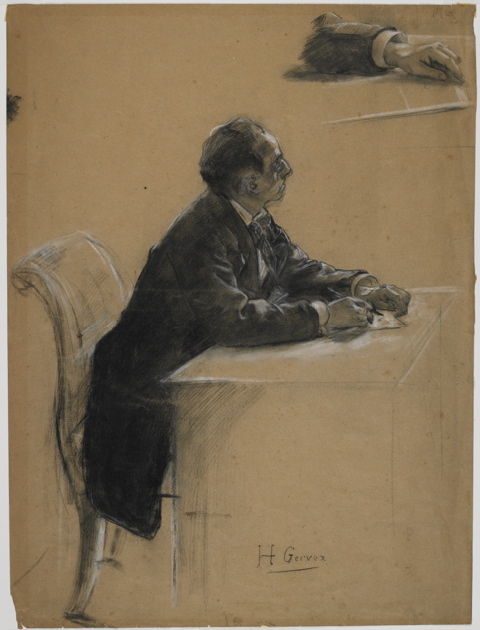 Several art historians, under the guidance of Dr. Gabriel P. Weisberg, researched the works - many by little known artists - and wrote the entries for the catalogue. 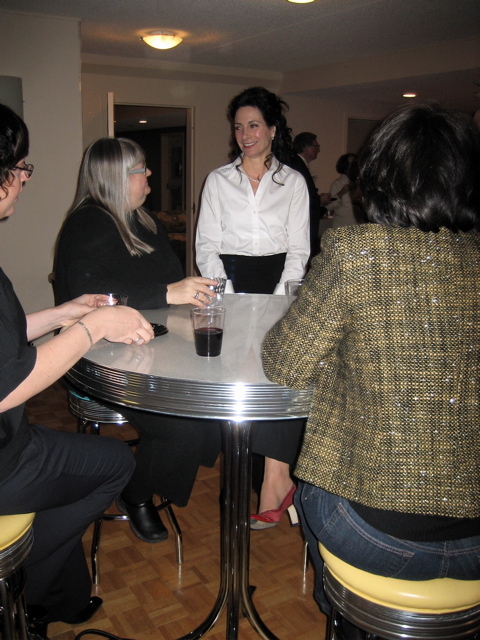 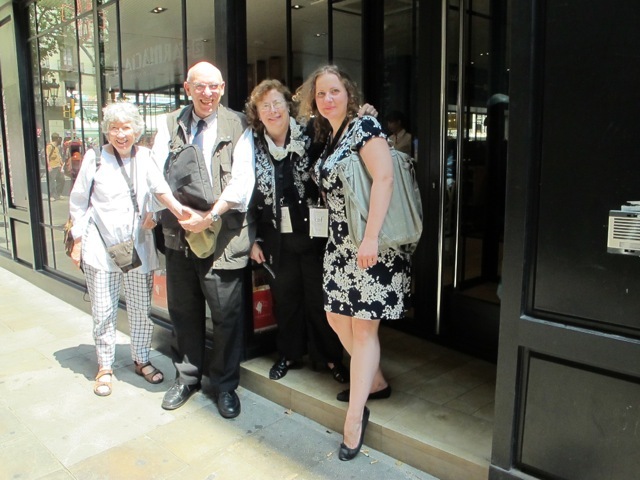 They are: Heather Lemonedes, Sarah J. Sik, Gabriel P. Weisberg, and Janet L. Whitmore. 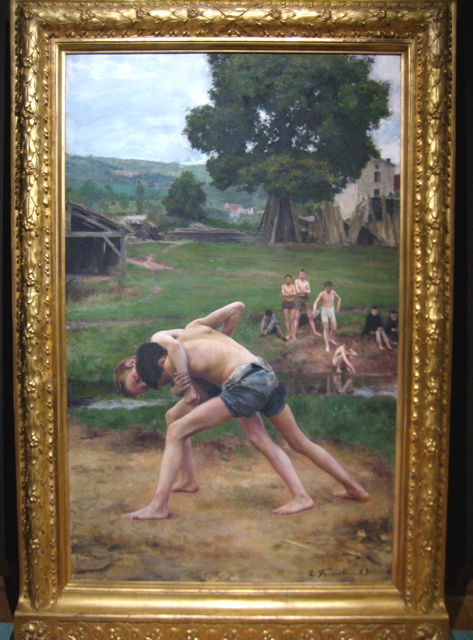 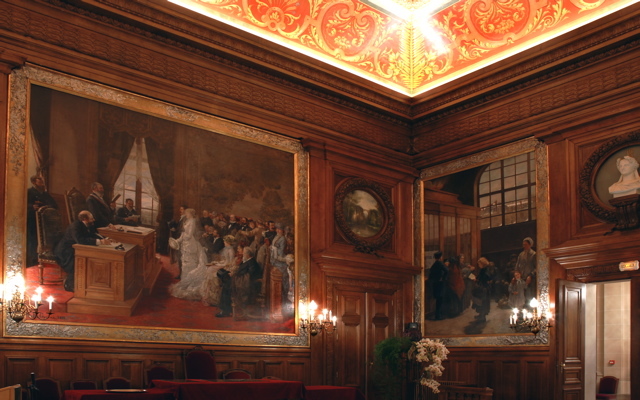 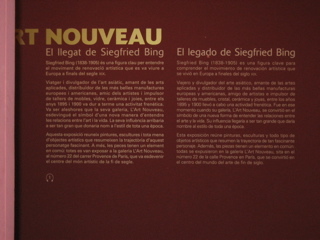 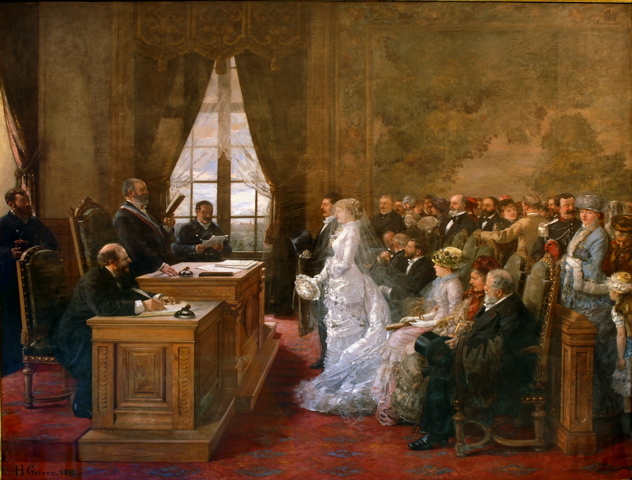 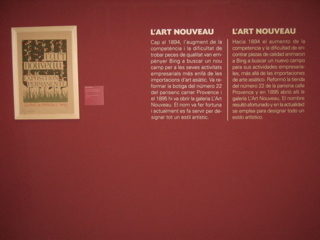 The main text about the two donors, and the collection, is by G.P. 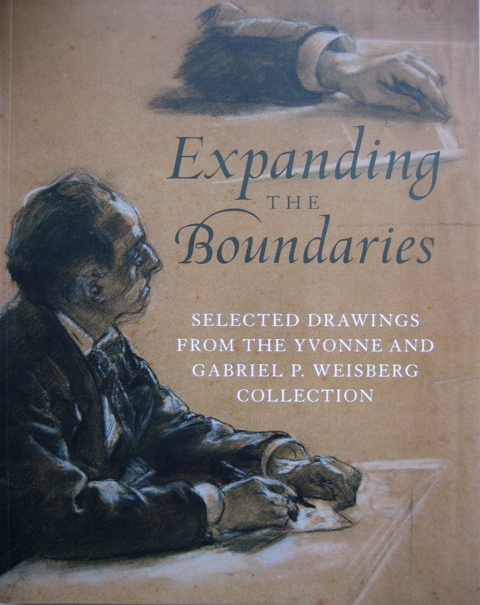 Weisberg. 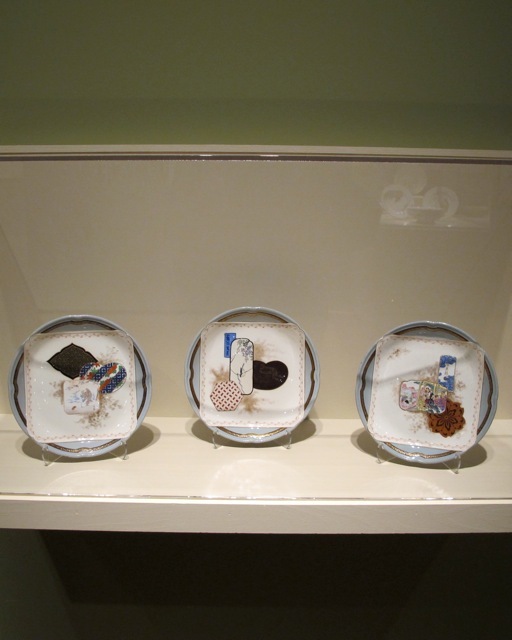 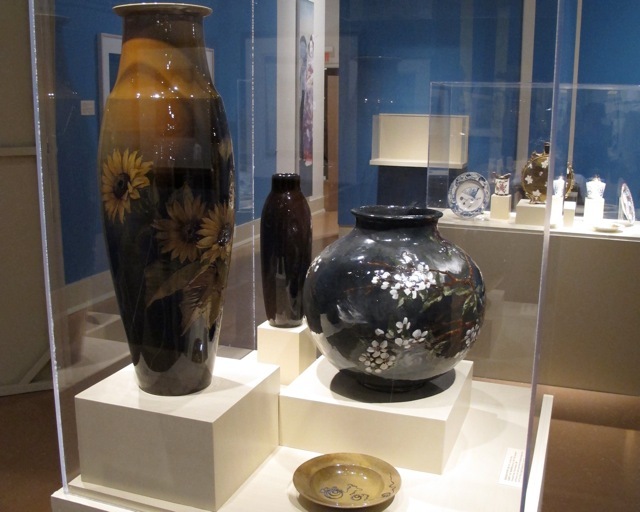 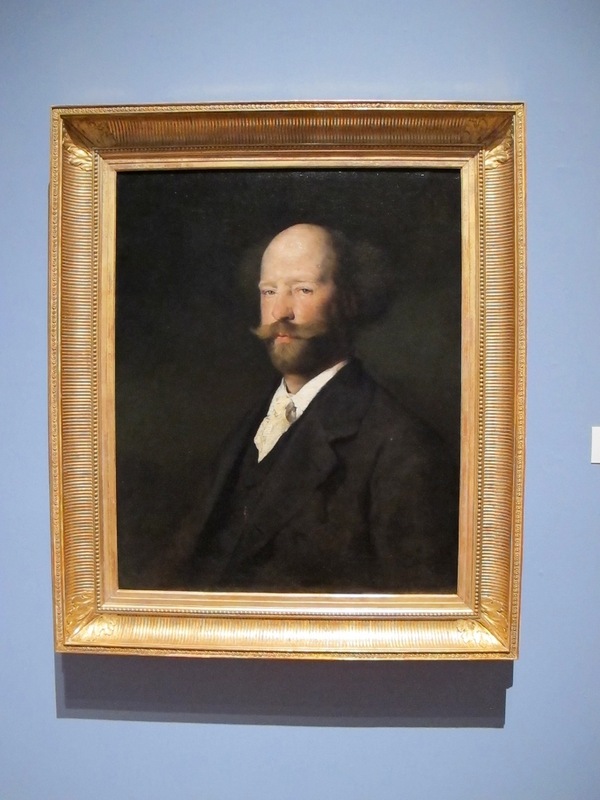 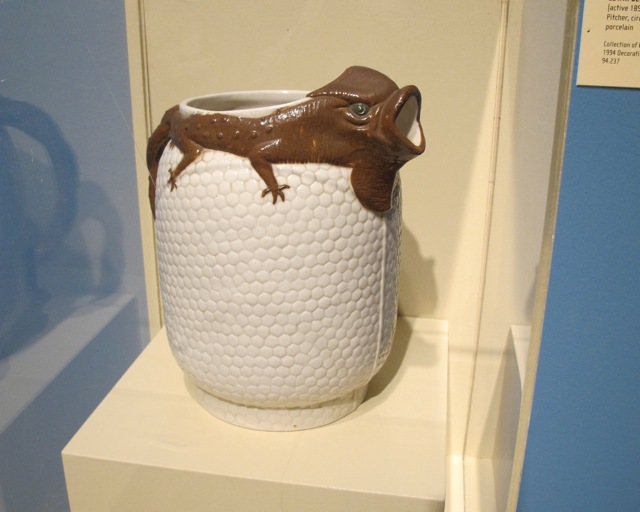 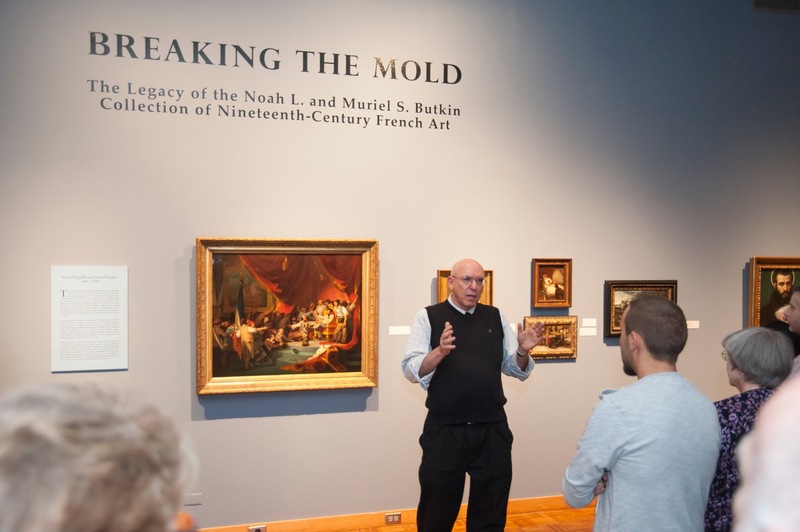 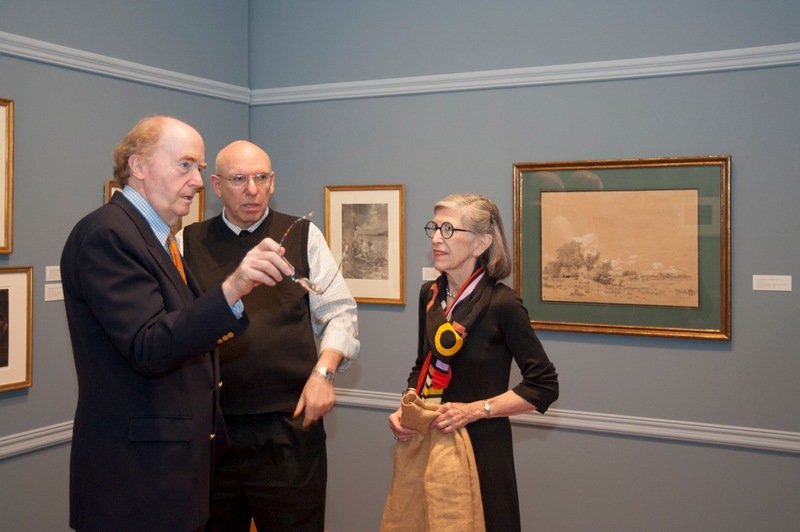 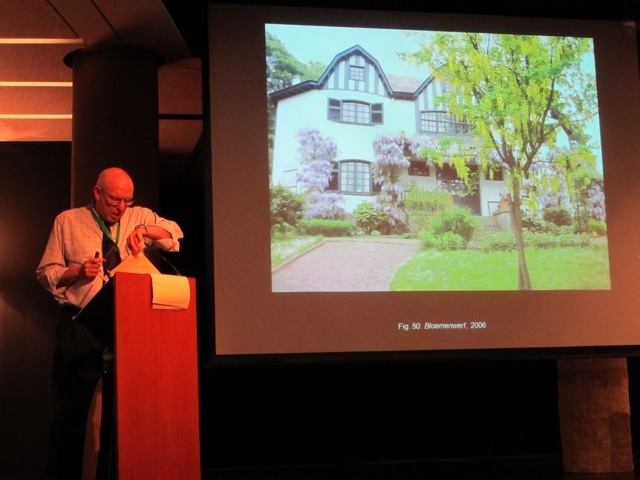 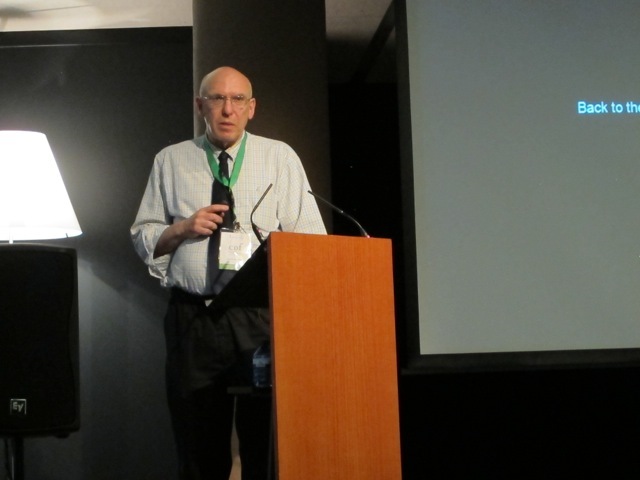 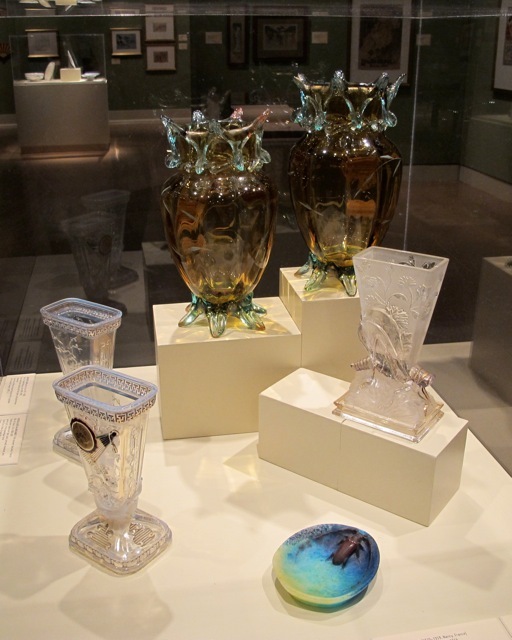 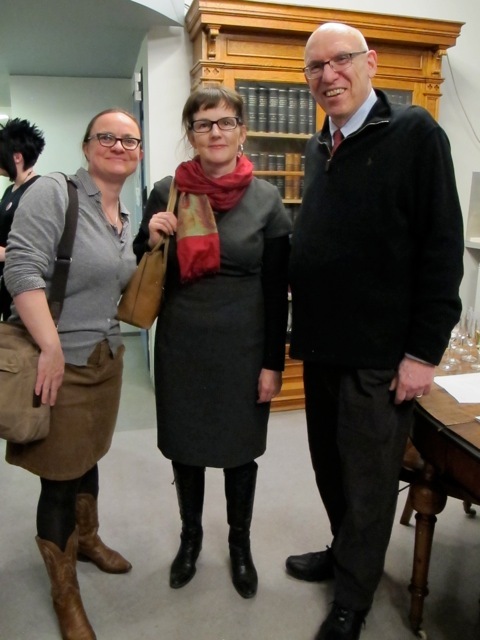 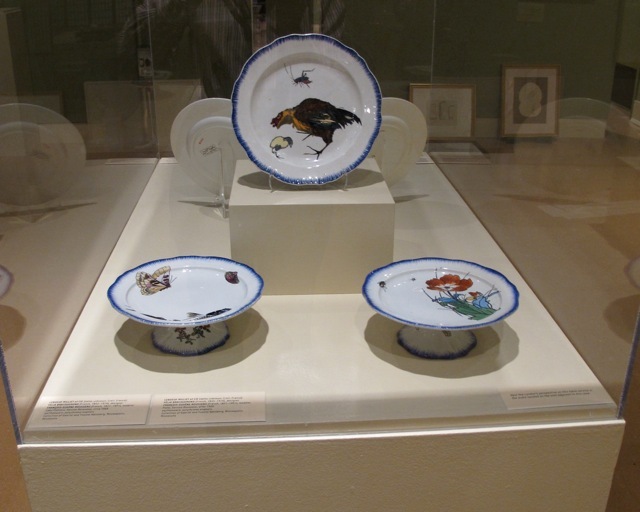 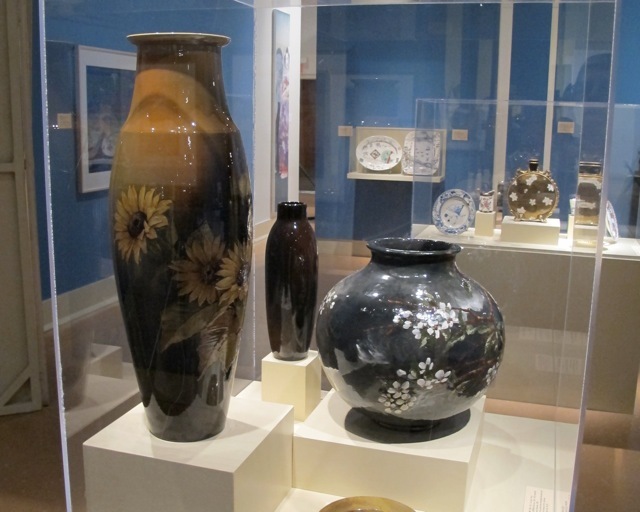 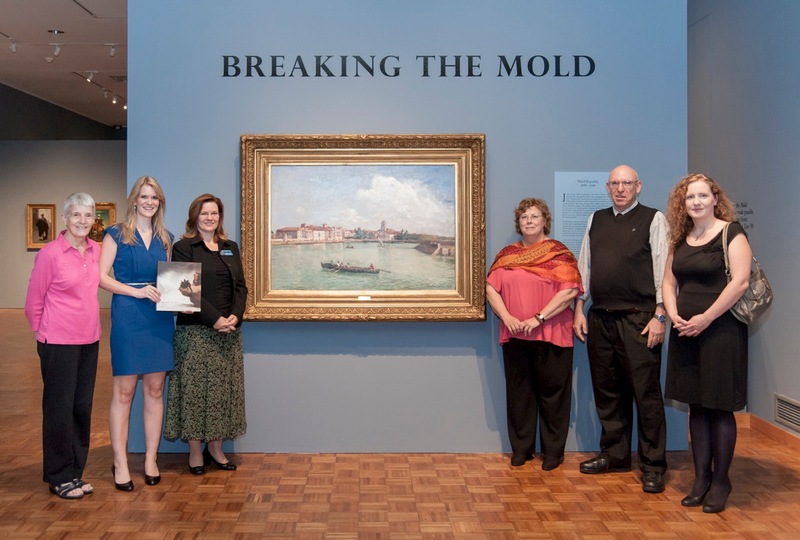 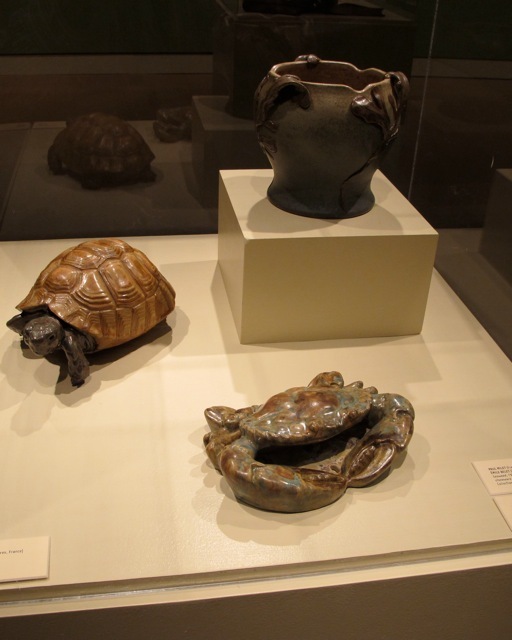 Kirsten Appleyard wrote an essay on how the Butkins came to give part of their collection to the Snite Museum, and how Stephen B. Spiro, curator at the Museum during the formation of the collection at the Snite, was in great part responsible for the gift. 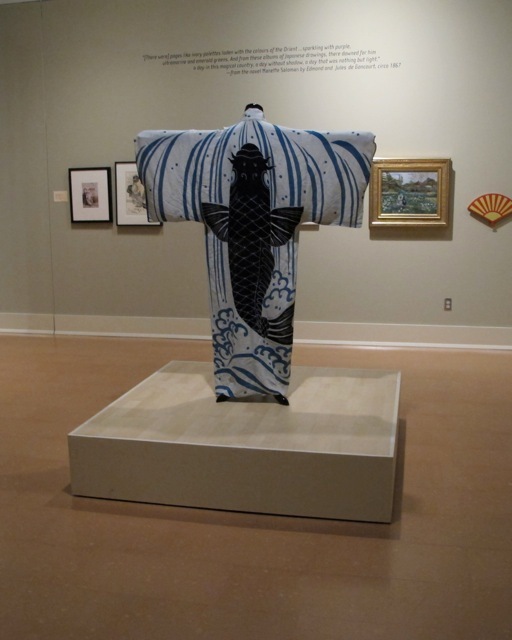 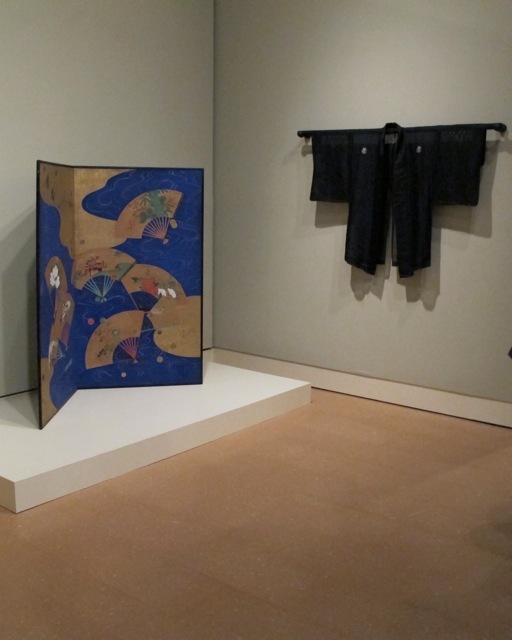 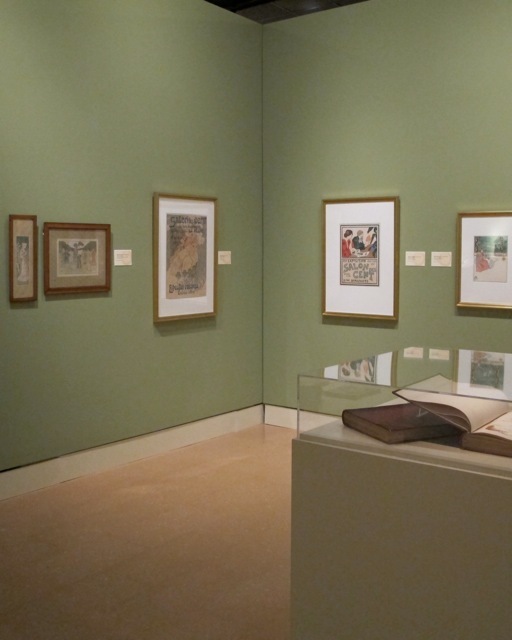 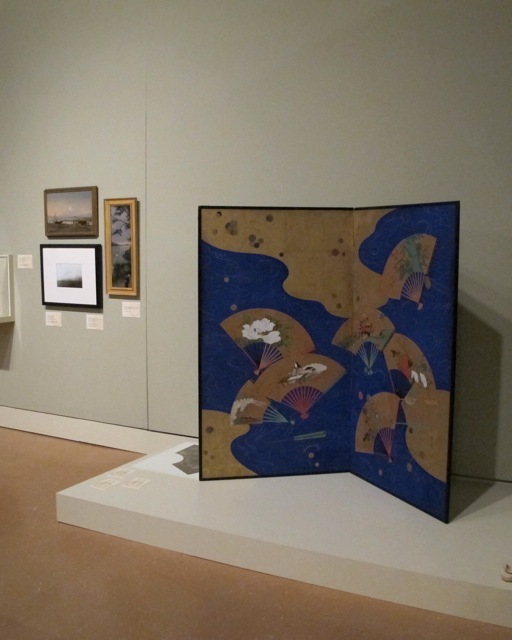 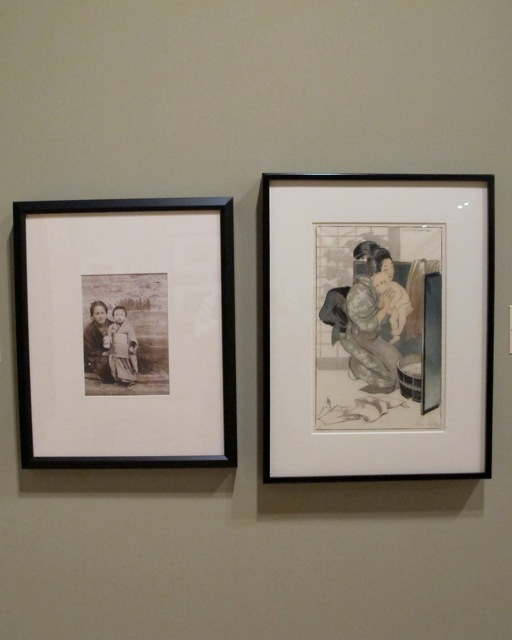 This exhibition brought together vastly diverse art objects produced in the West and in Japan demonstrating the close interaction between artists in all media under the influence of Japanese art and culture. 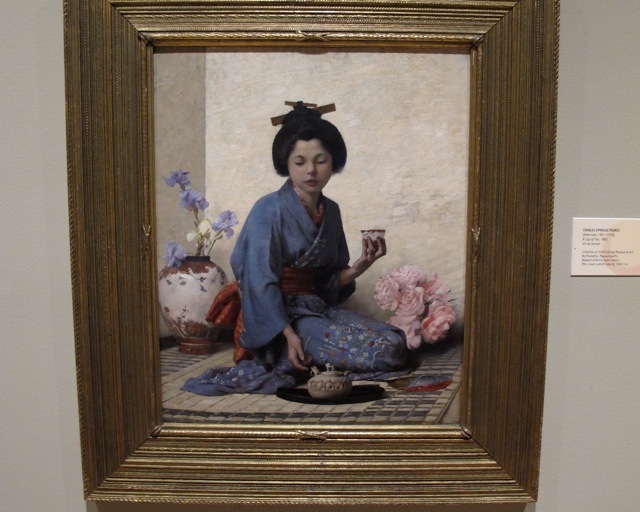 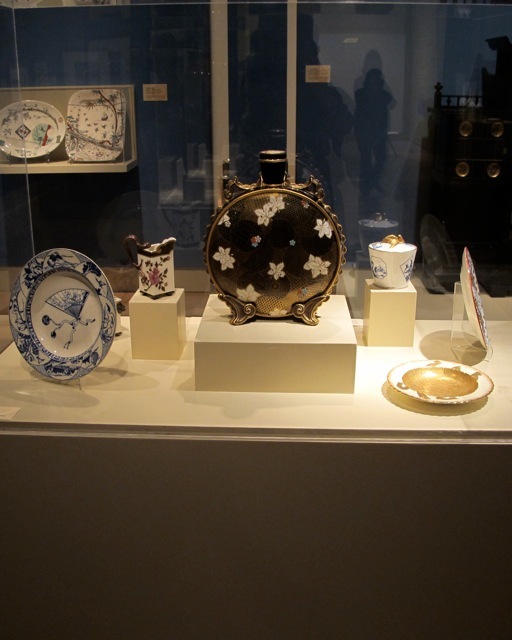 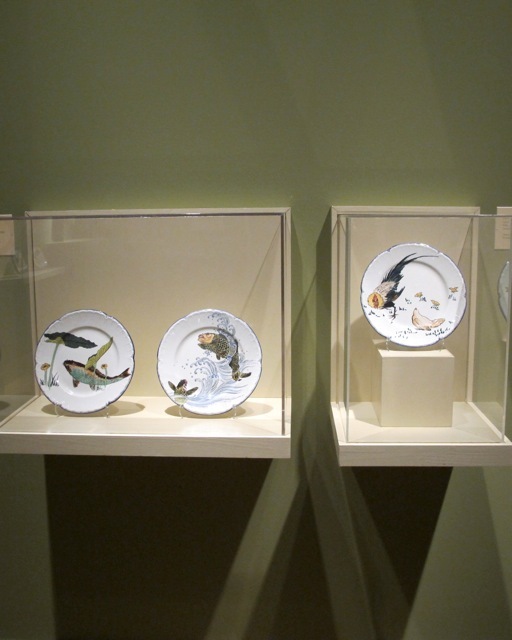 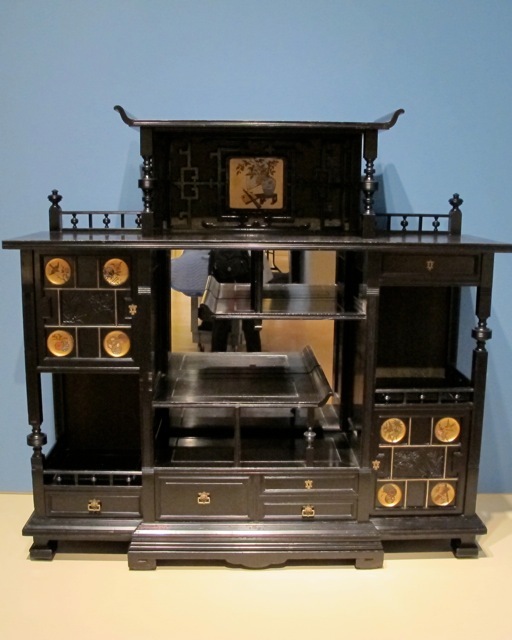 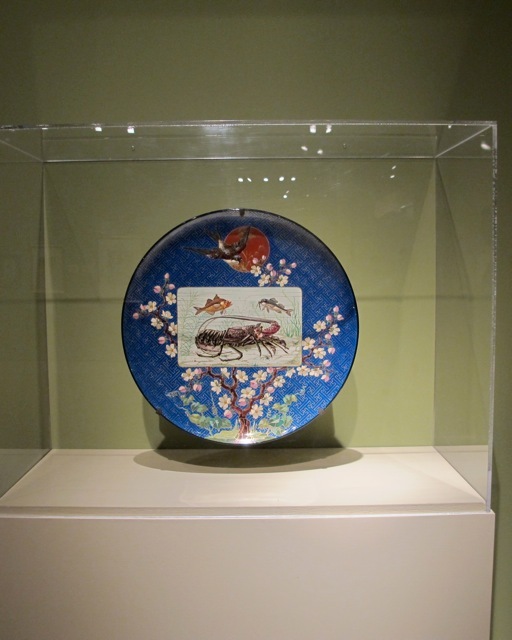 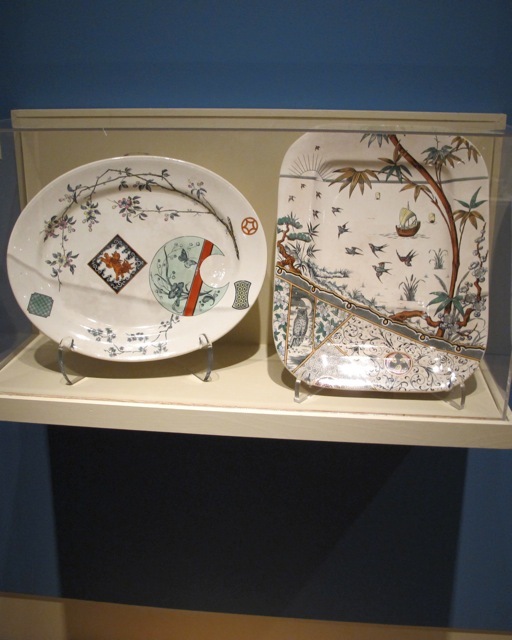 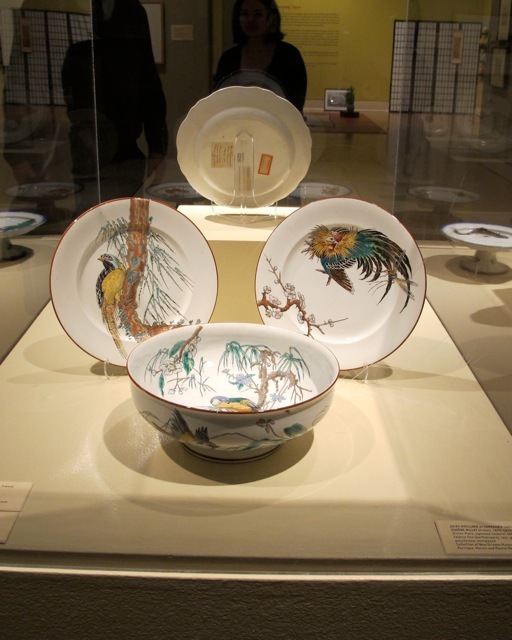 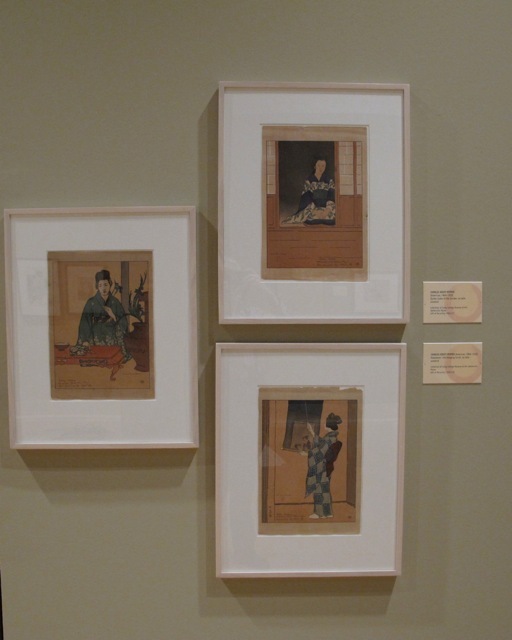 Paintings, prints, decorative arts, photographs, and clothing were obtained internationally providing an often new and penetrating dimension to the issues surrounding Japonisme in the West ( Europe and the United States) once Japan had been opened fully to western contact in the 1850s. 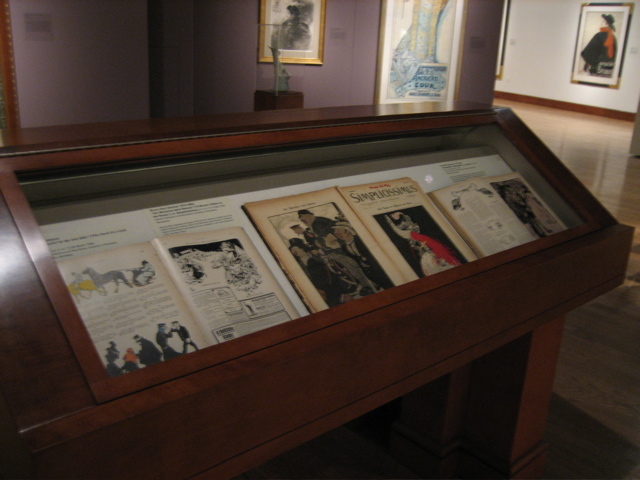 A detailed catalogue/book was published to accompany the show and is distributed by the University of Washington Press, Seattle. 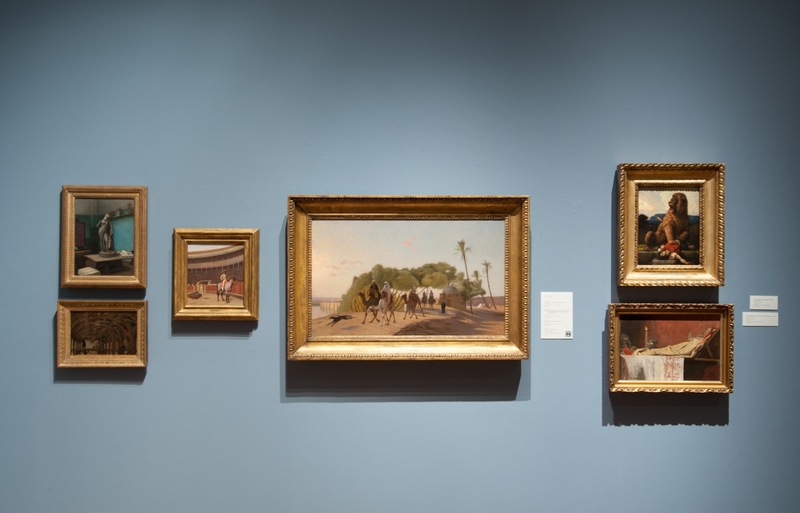 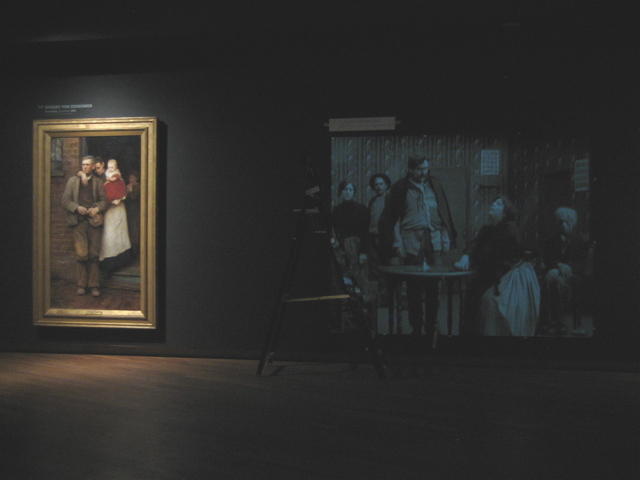 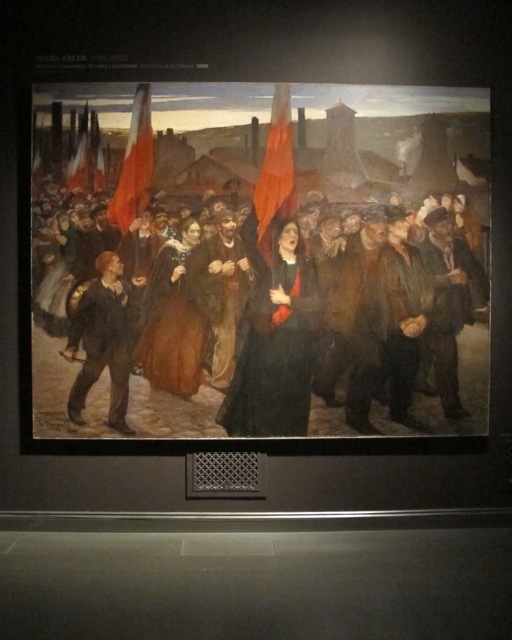 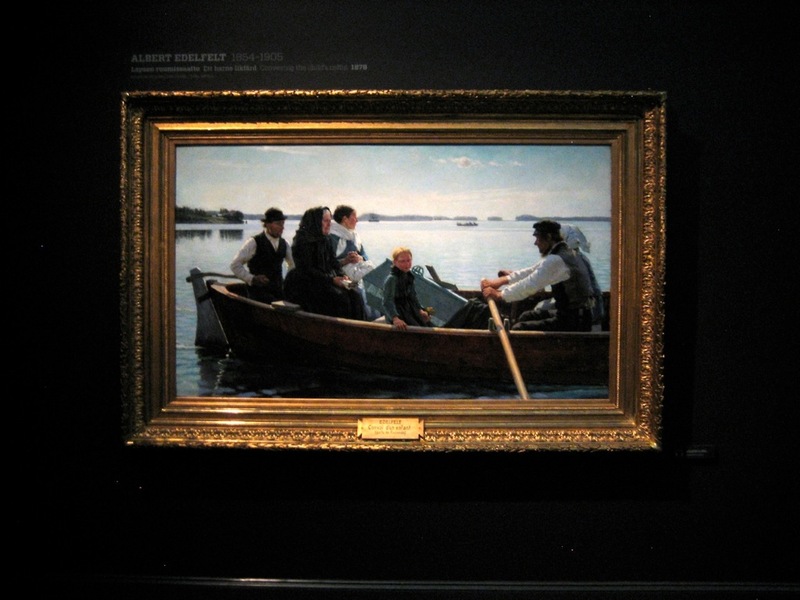 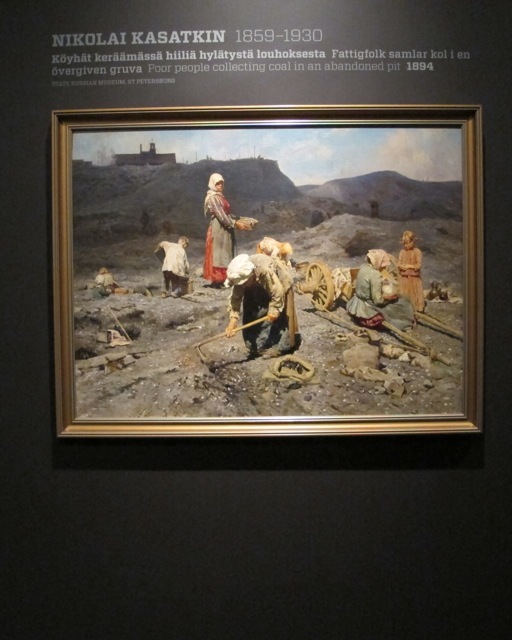 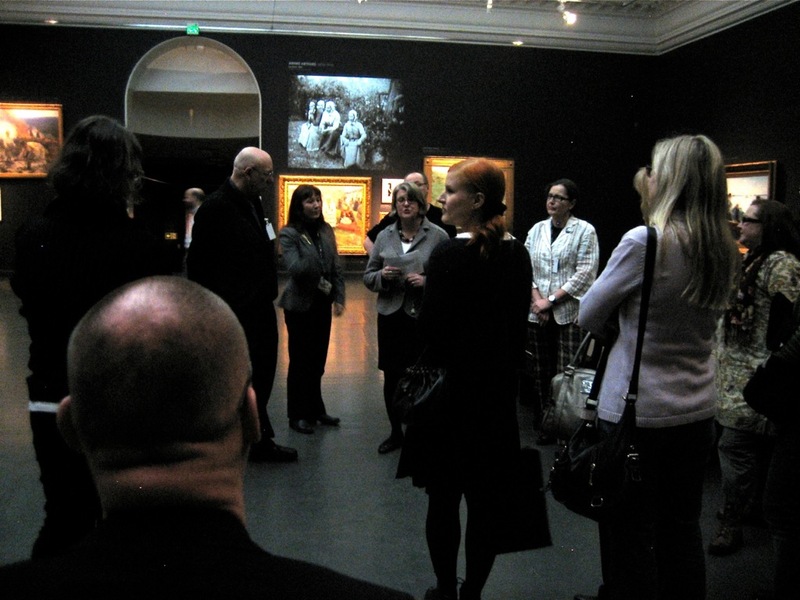 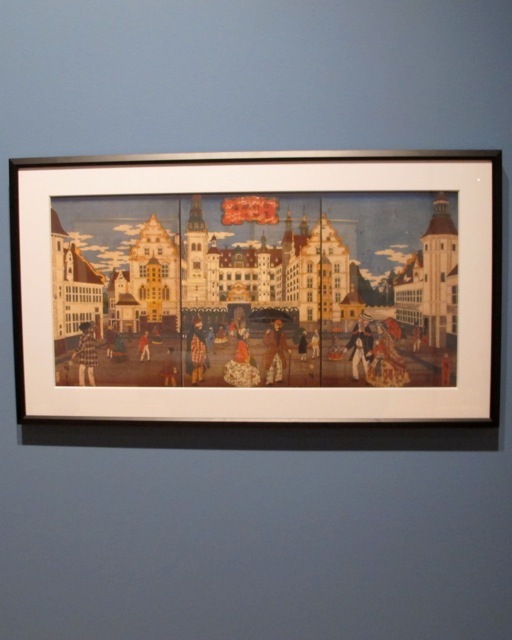 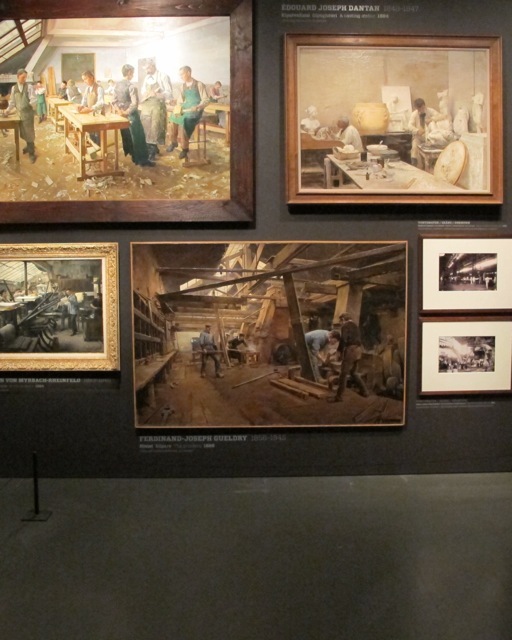 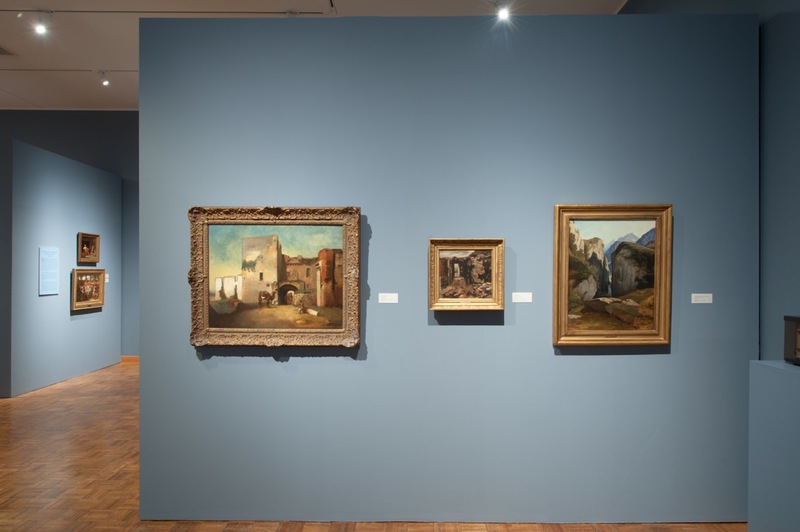 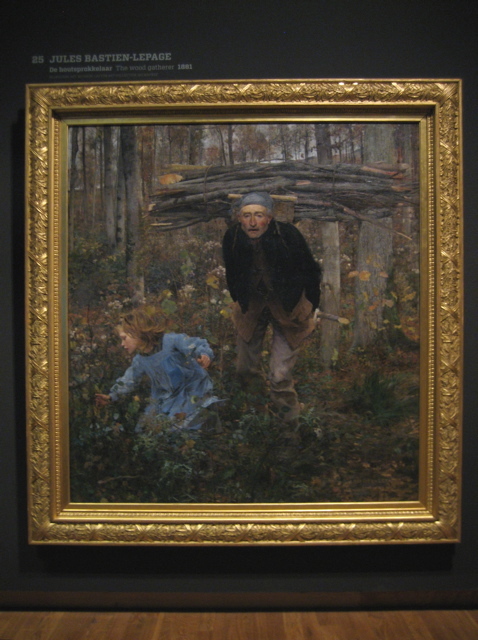 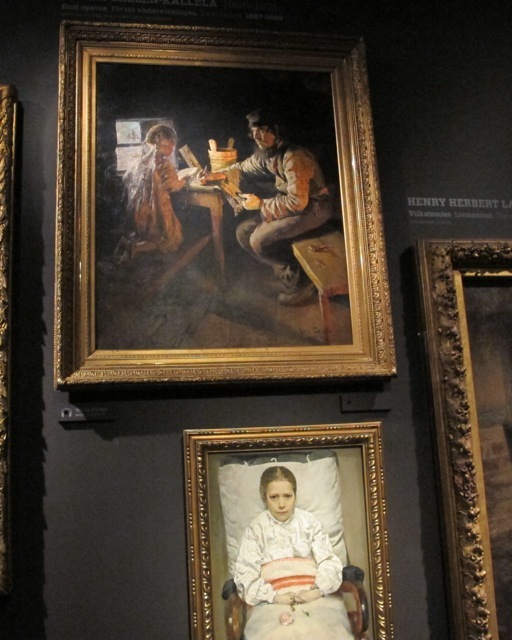 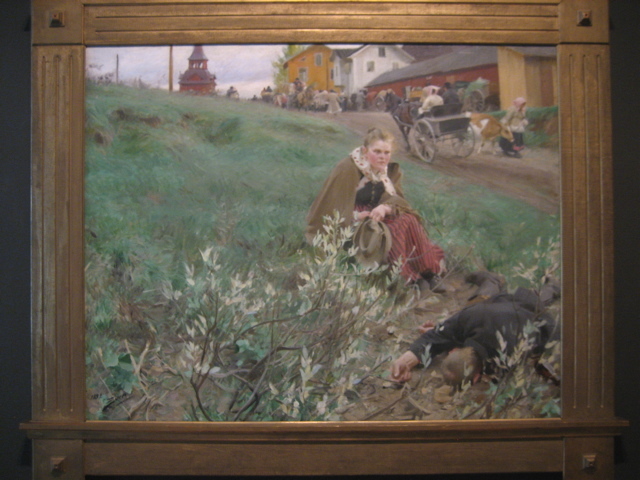 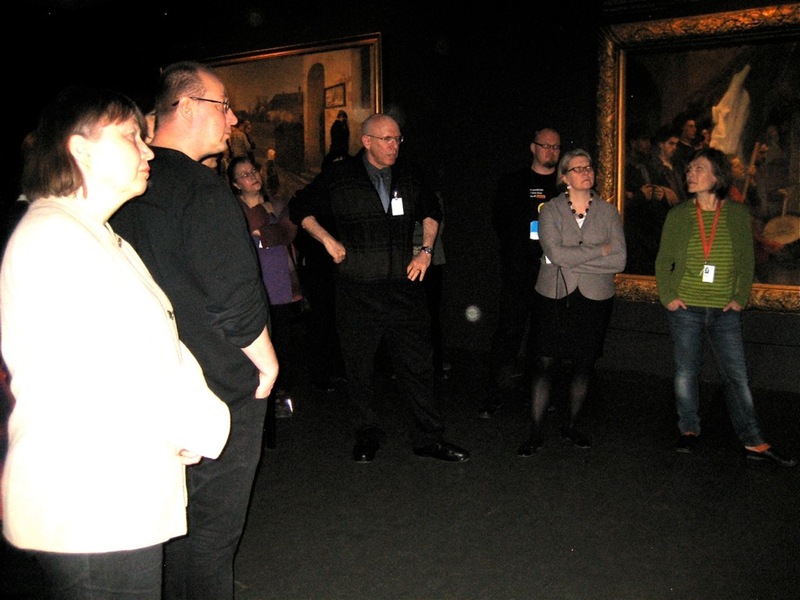 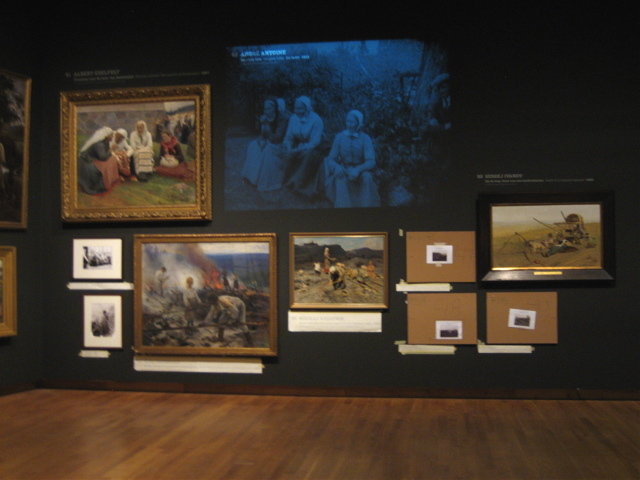 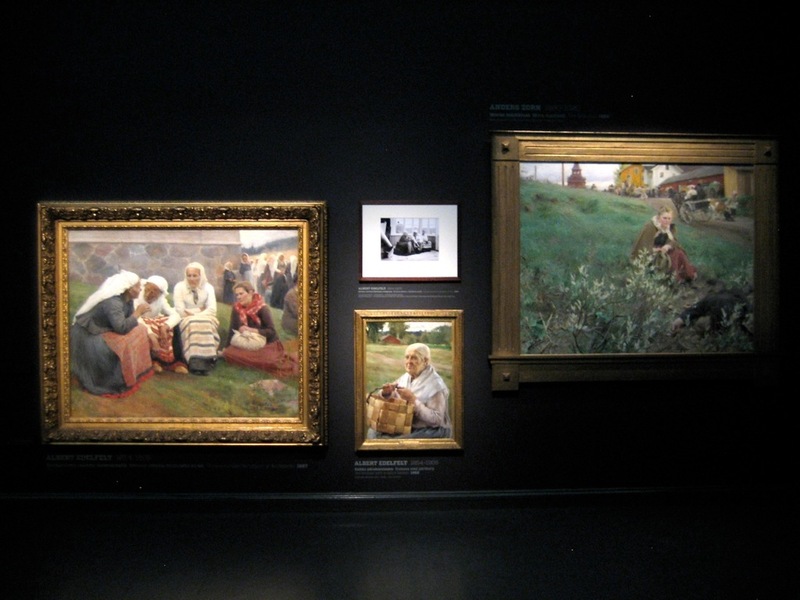 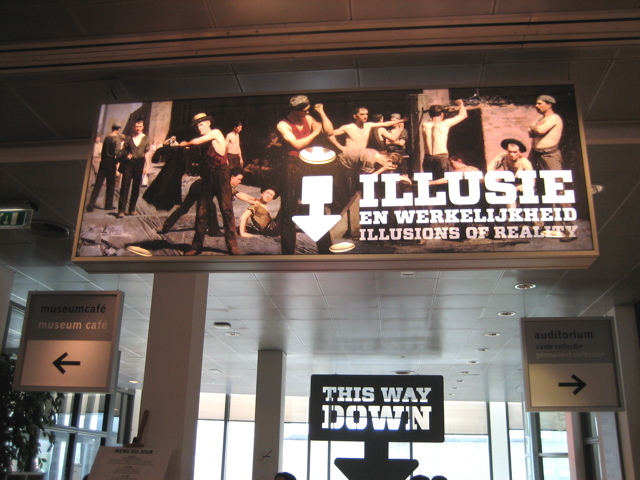 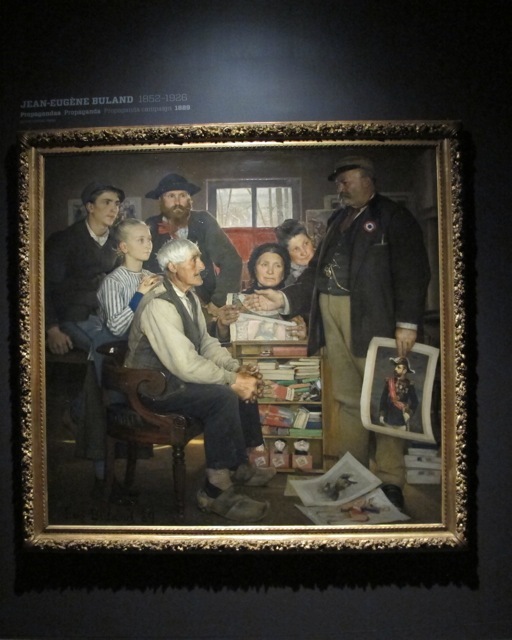 The installation of Illusions of Reality at the Ateneum Museum in Helsinki reflected the way in which a nineteenth century building and its gallery spaces could be easily adapted for the large scale of the majority of the paintings in the exhibition. 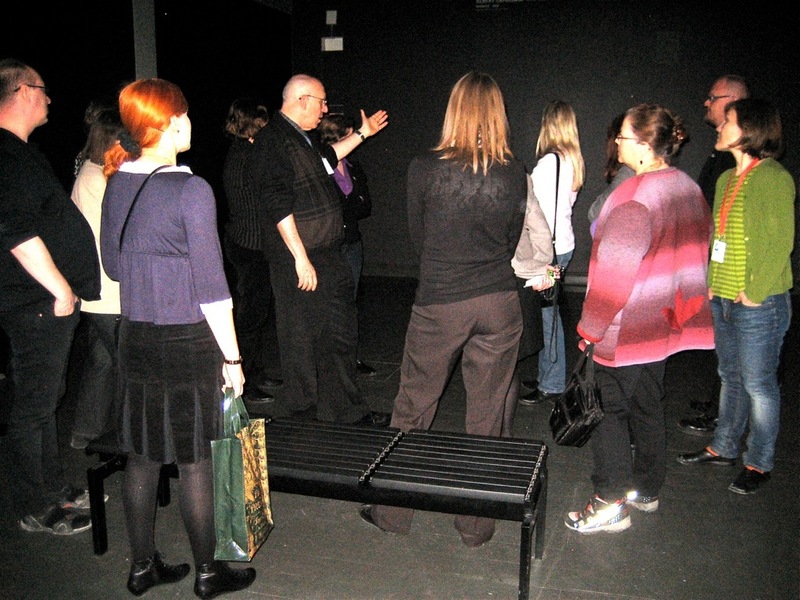 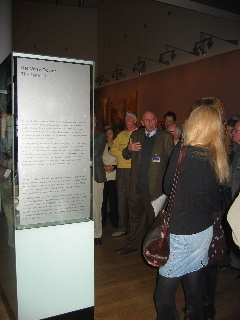 Enthusiastic crowds and a very positive press reaction guaranteed continued interest in the exhibition at the second venue of the exhibition where the show will be until mid May 2011. 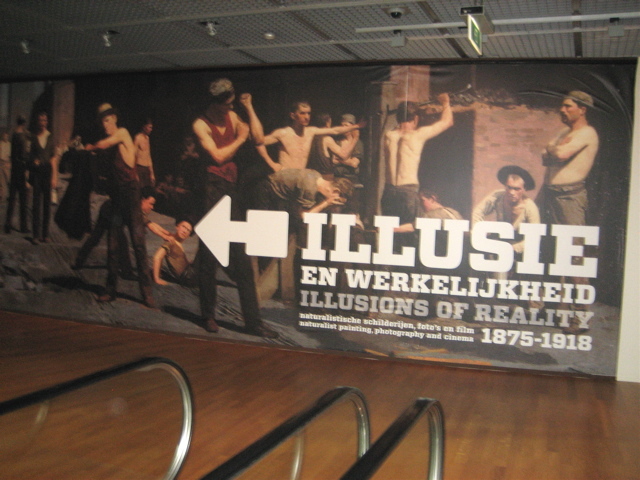 These following images are part of the installation and opening festivities surrounding the exhibition we organized for the Van Gogh Museum in Amsterdam. 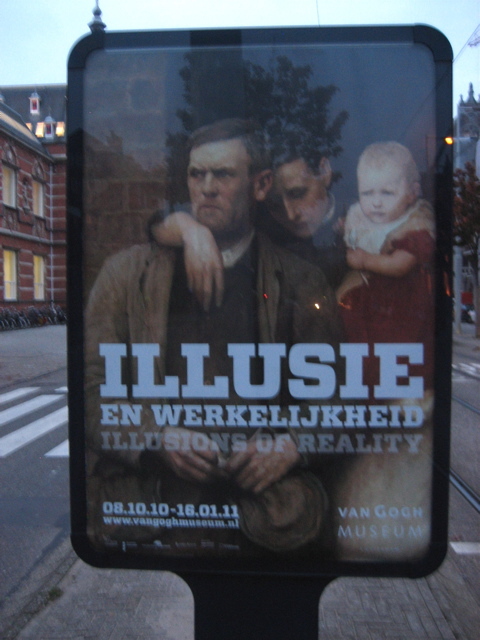 ILLUSIONS OF REALITY. 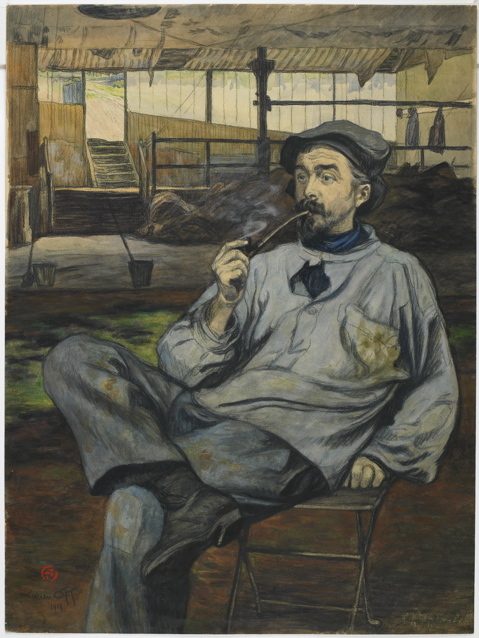 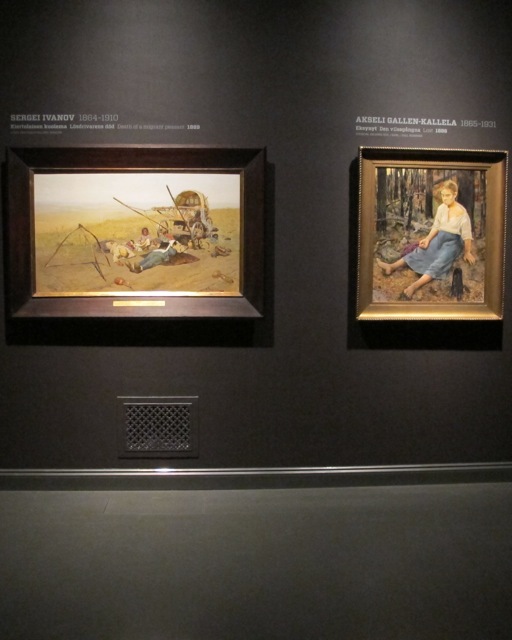 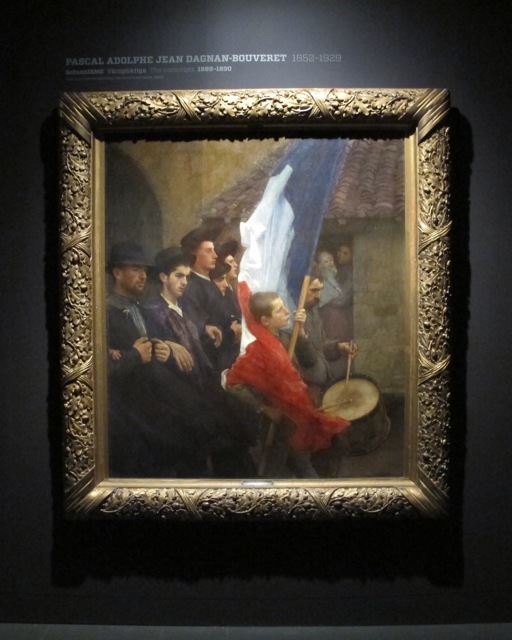 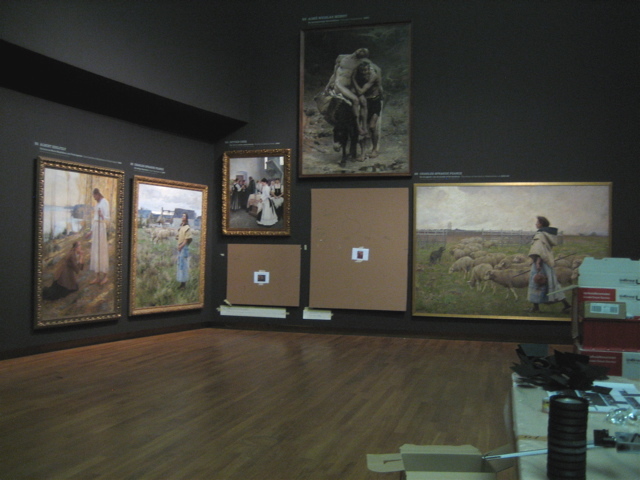 NATURALIST PAINTINGS, PHOTOGRAPHY AND CINEMA, 1875-1918 opened at the Van Gogh Museum in early October 2010; it will eventually move onto the Ateneum Museum in Helsinki, Finland as the second venue. 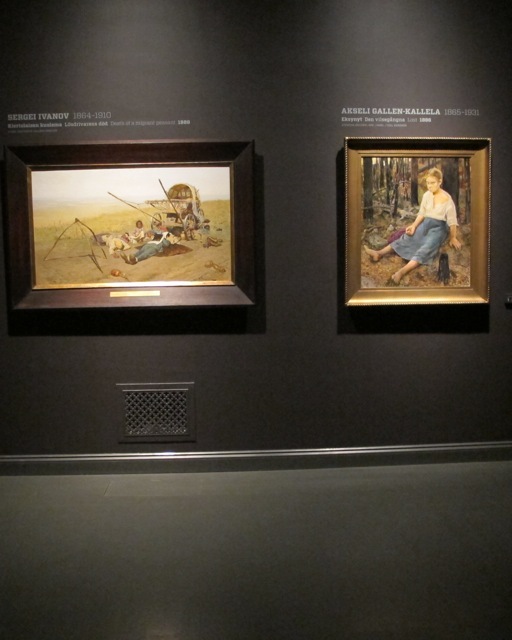 Examining the Naturalist movement in painting on an international basis the exhibition also considered the ways in which multi-media were influential in the making of paintings (such as photography and theatrical performances of plays by Emile Zola) and the ways in which paintings influenced early cinema especially with films developed from novels by Zola such as La Terre and Germinal. 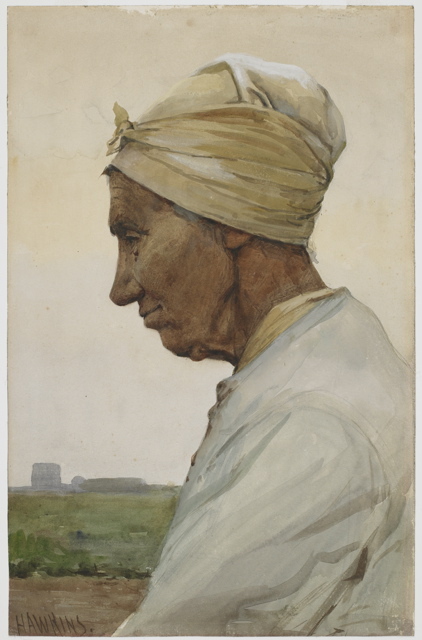 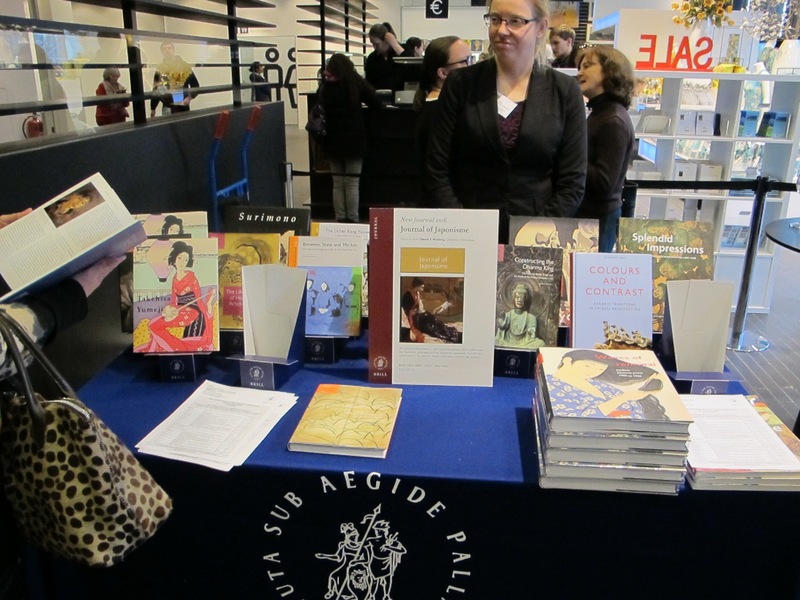 Mercatorfonds published the catalogue for the exhibition in six separate language editions (English, Dutch, French, German, Swedish and Finnish). 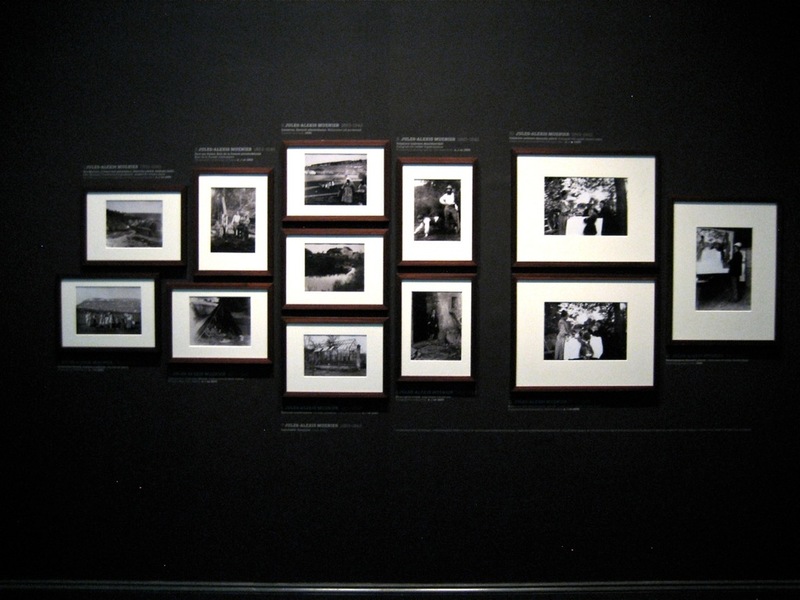 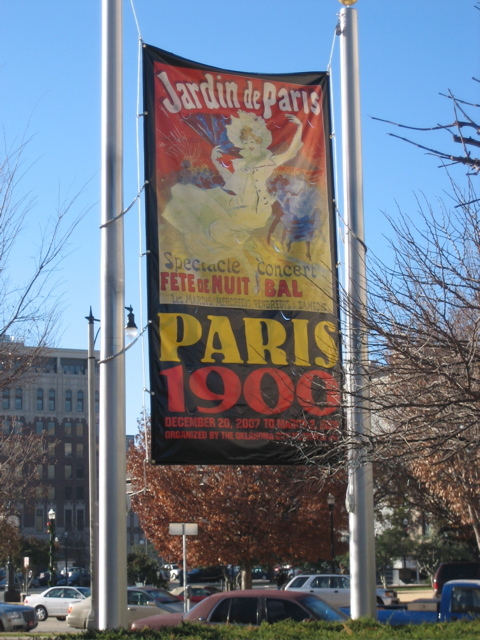 Images taken at the opening of the Paris 1900 exhibition in December, 2007 at the Oklahoma City Art Museum. 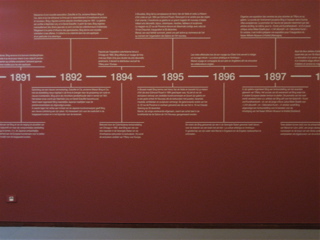 This exhibition was co-curated by Dr. Hardy George and myself. 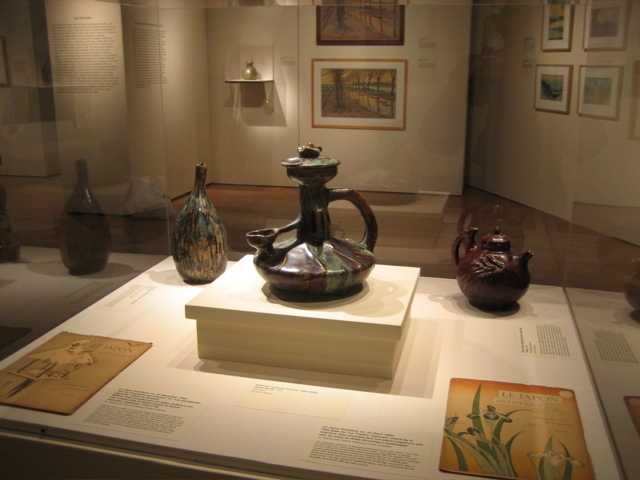 There was a detailed catalogue published that is being distributed by the University Washington Press for the Oklahoma City Art Museum. 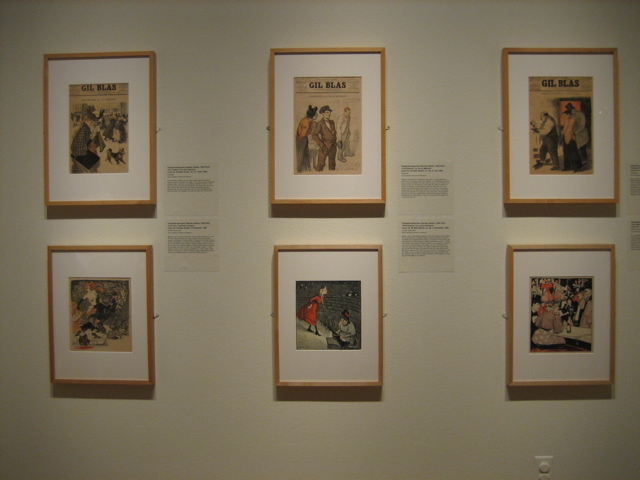 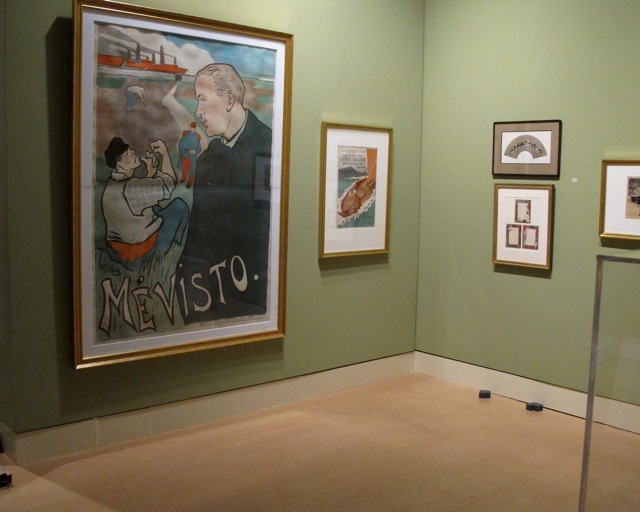 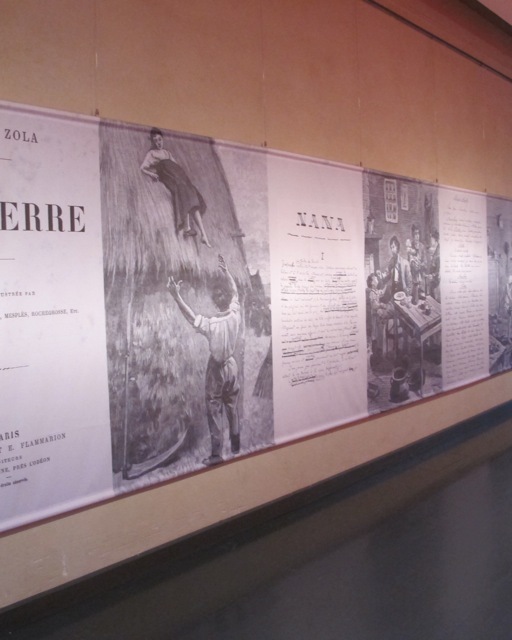 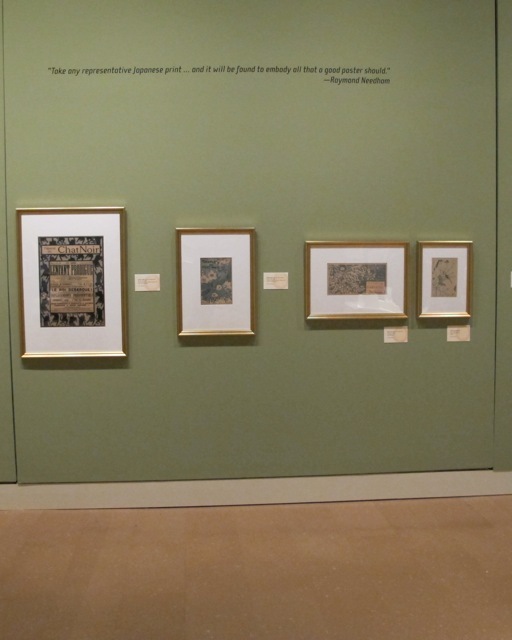 Objects for the show were secured from international and national collections with the Minneapolis Institute of Arts providing many impressive posters by Jules Cheret, among others. 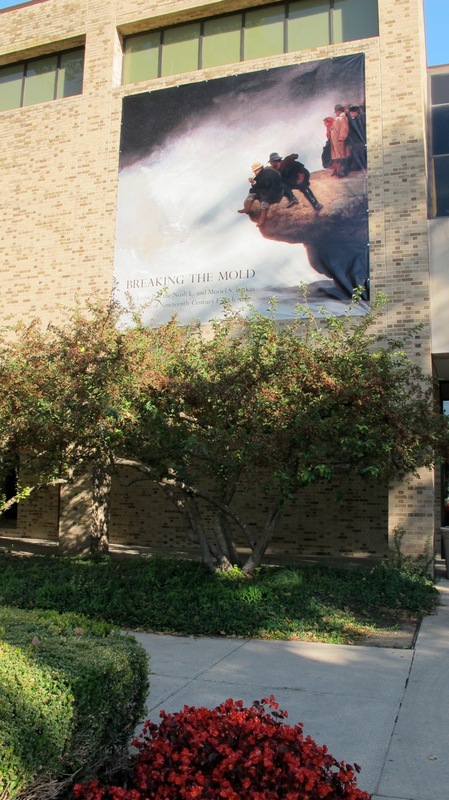 Books and journals were secured from the Library at the University of Minnesota. 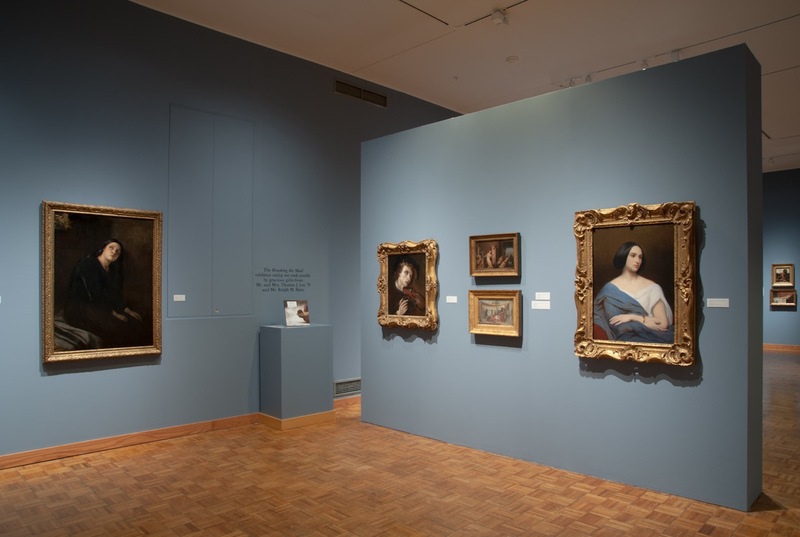 Catalogue essays, in addition to those written by Hardy George and myself, were prepared by Sarah Sik, a current Ph.d. student at the University of Minnesota and Dr. Elizabeth Fowler of Syracuse University and a Ph.d. recipient in art history from the University of Minnesota. 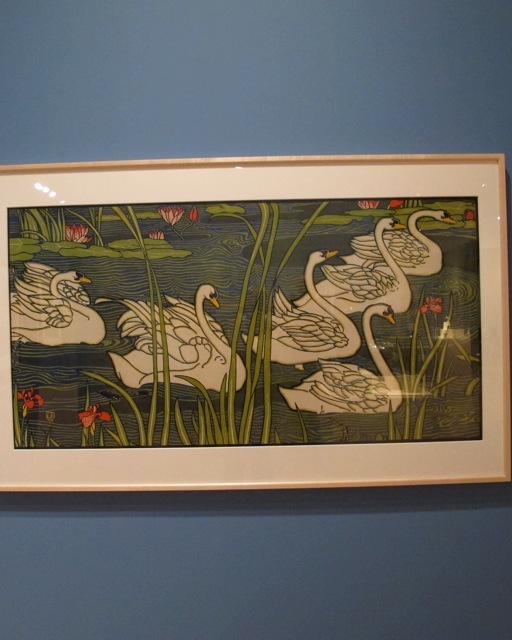 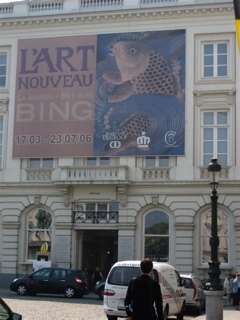 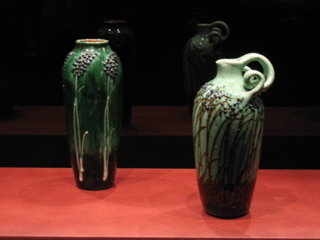 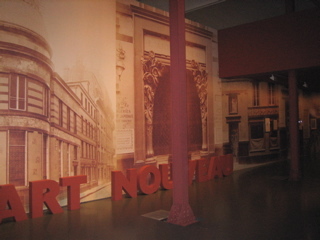 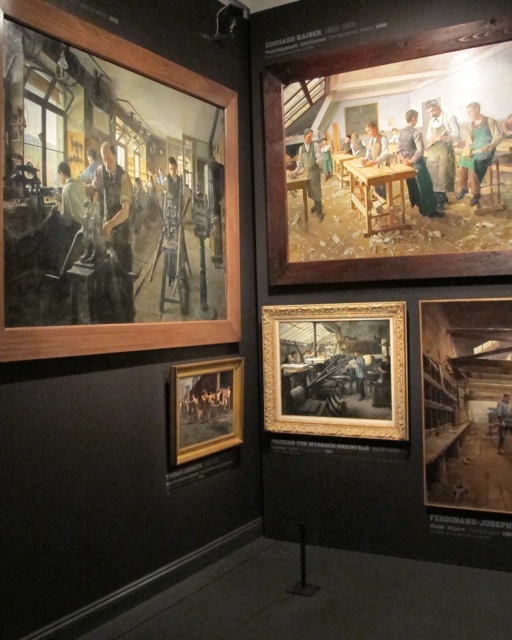 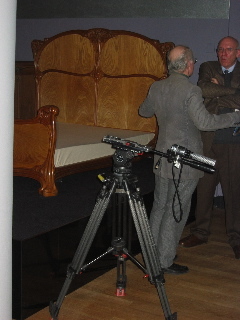 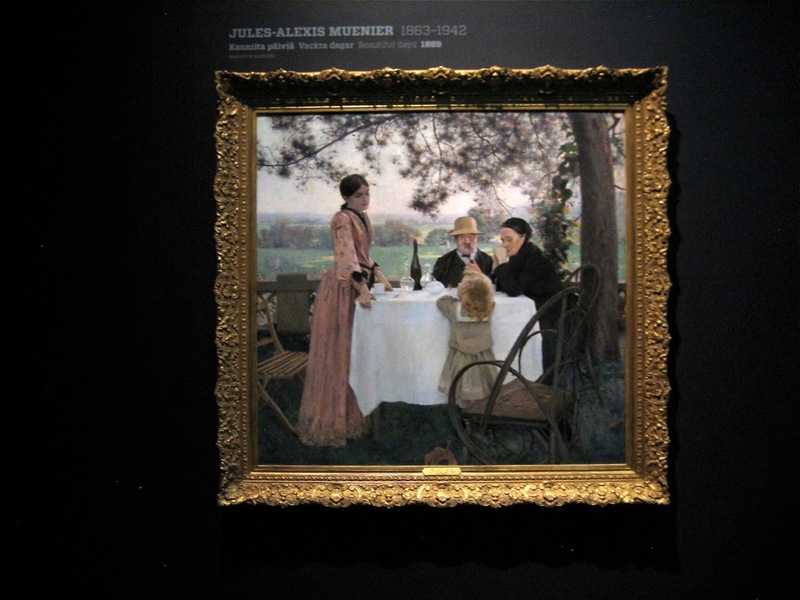 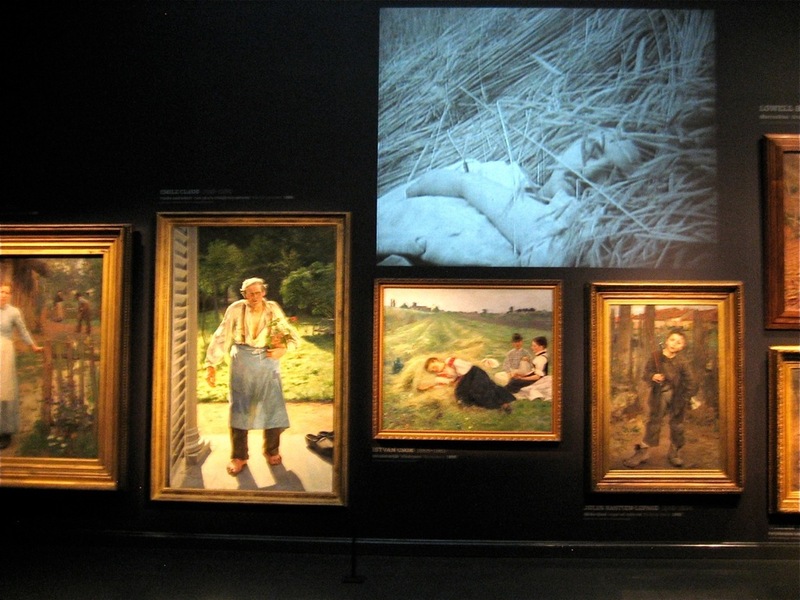 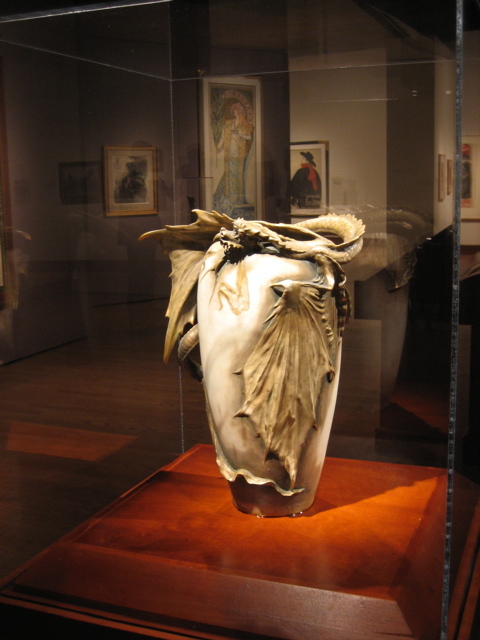 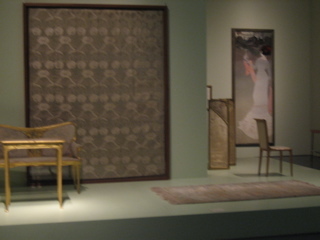 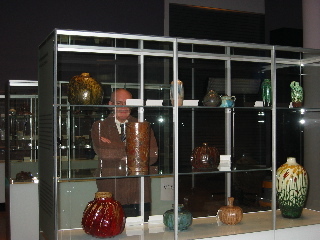 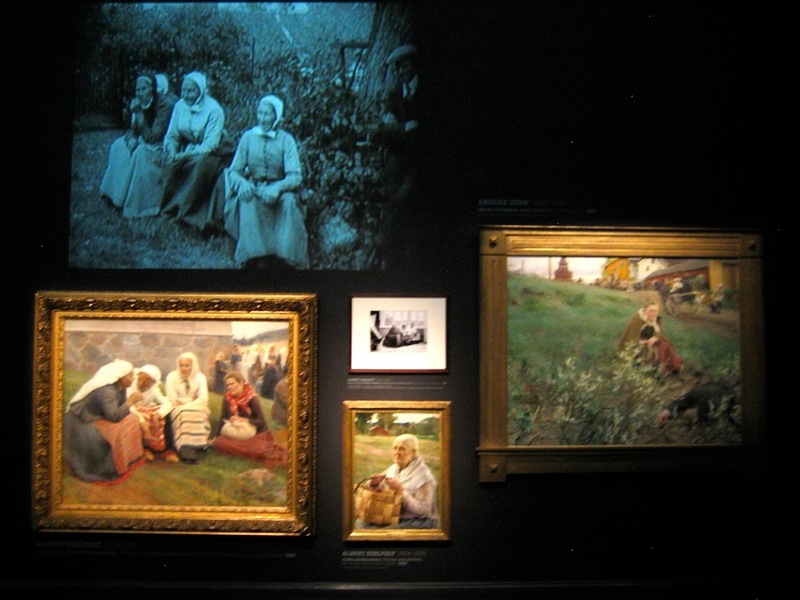 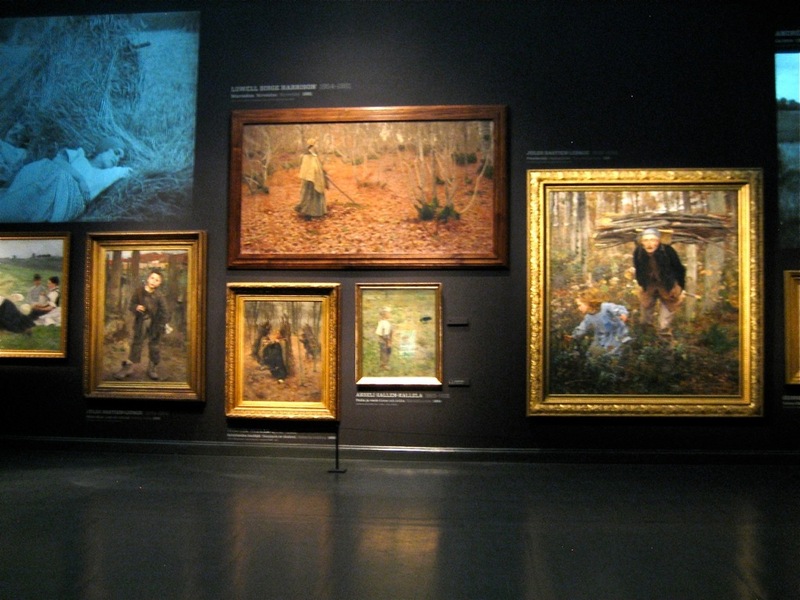 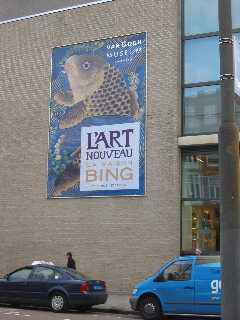 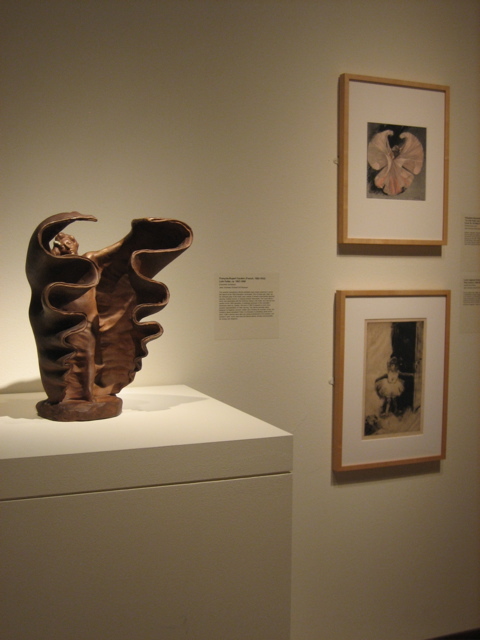 The L'Art Nouveau exhibition opened at the Van Gogh Museum in Amsterdam on November 25, 2004. 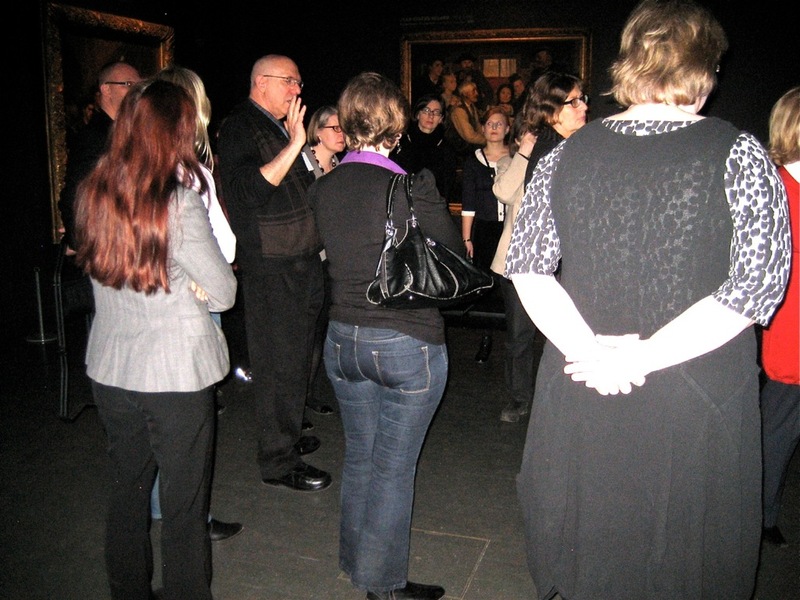 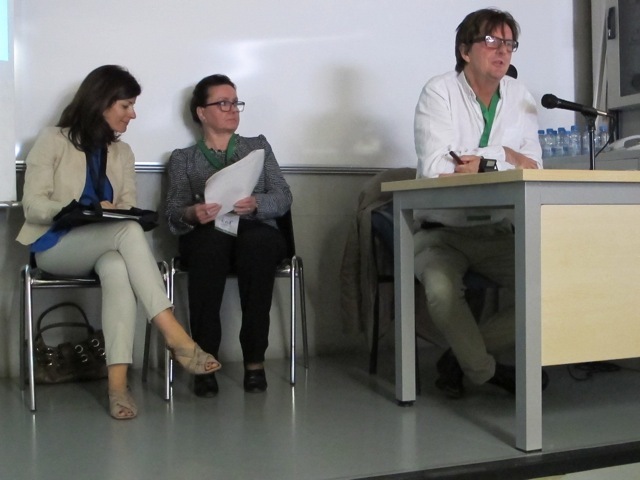 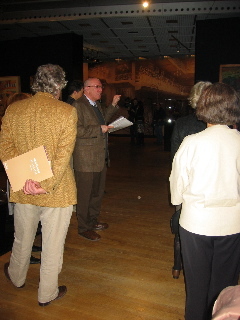 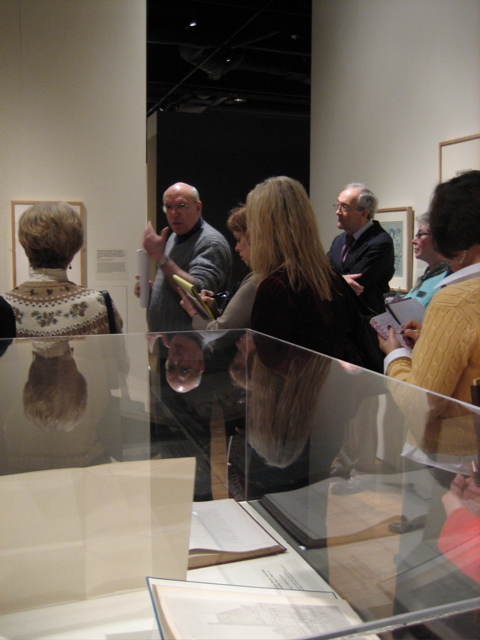 The press conference for international journalists drew close to 140 members; many were taken on a tour of the exhibition either by Edwin Becker, Exhibitions Curator at the Van Gogh or by Professor Weisberg. 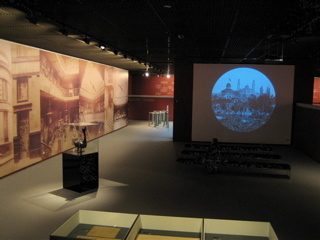 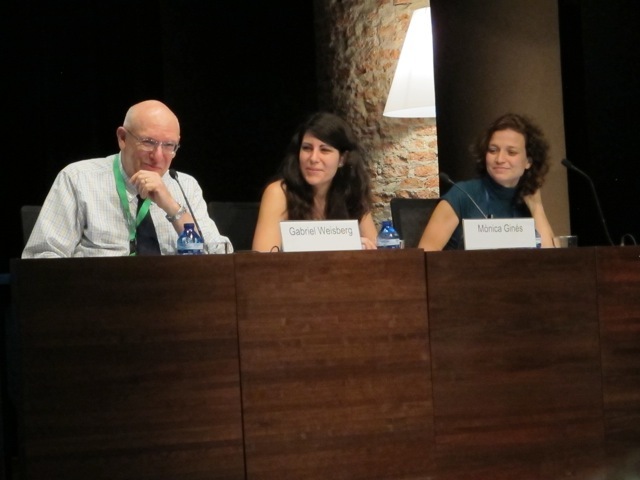 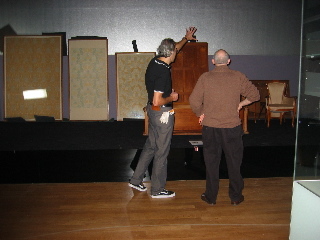 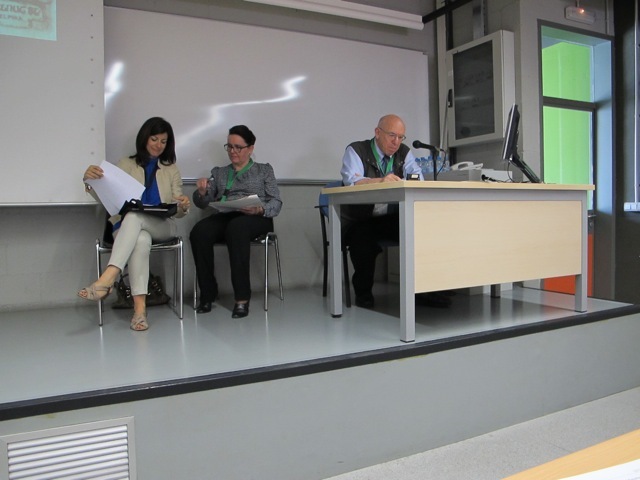 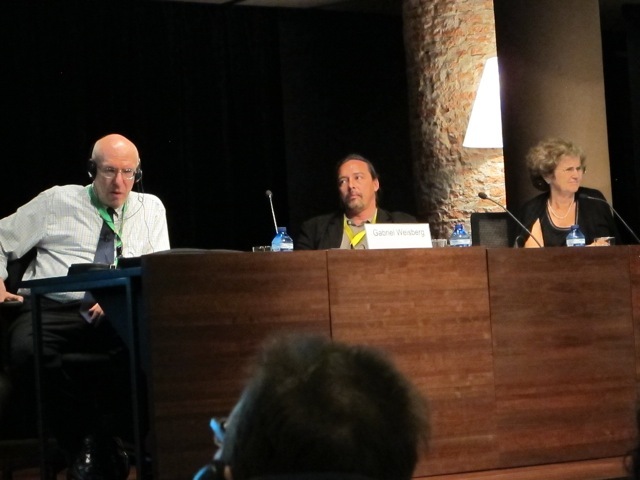 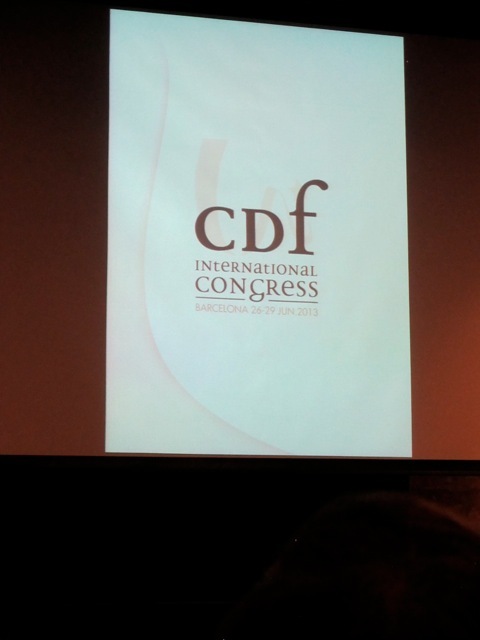 A large number of reviews of the show have appeared since the press conference. 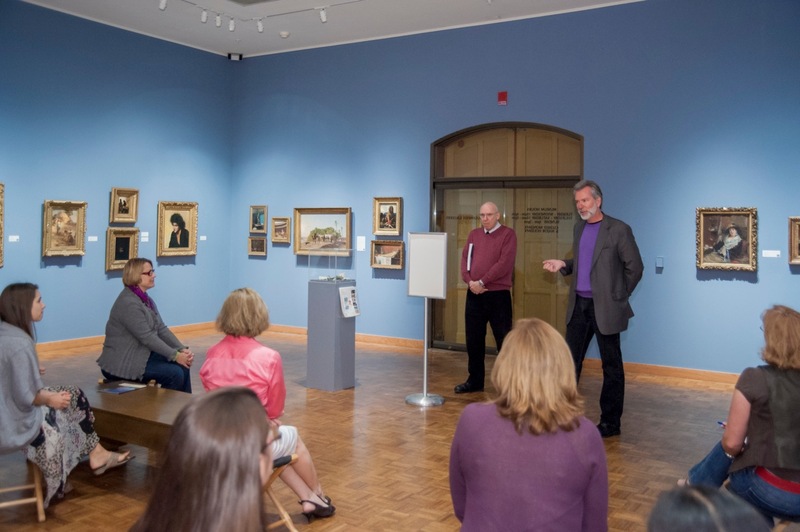 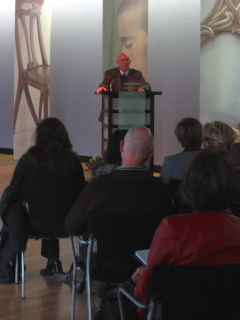 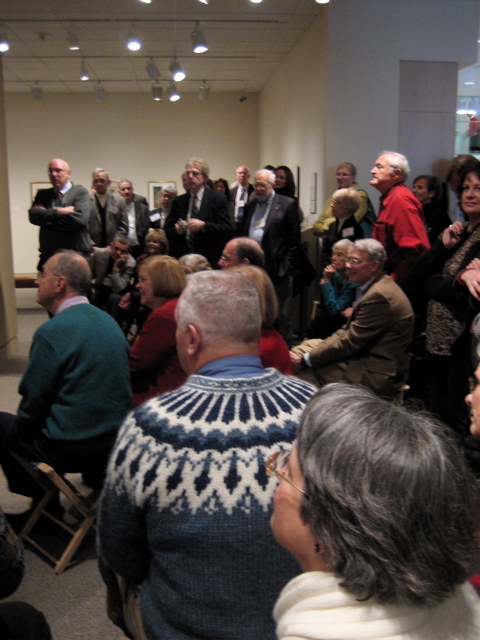 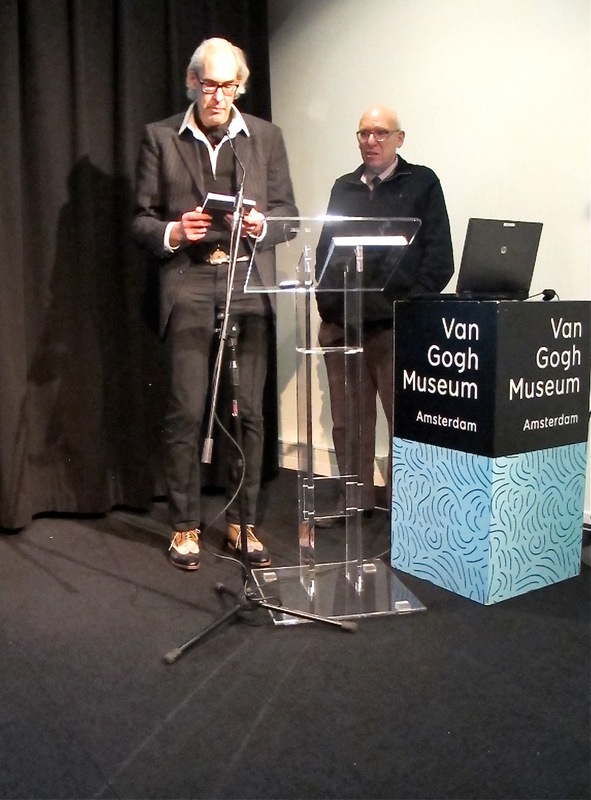 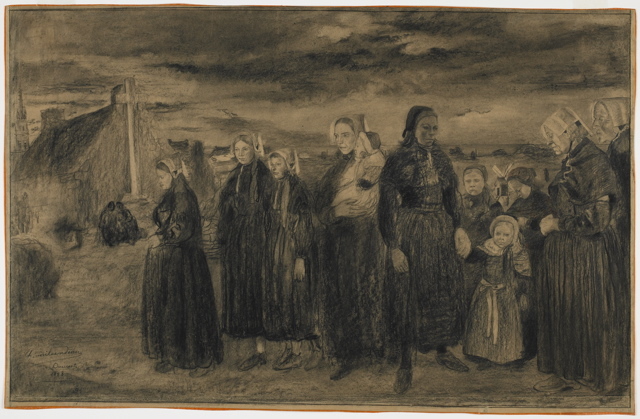 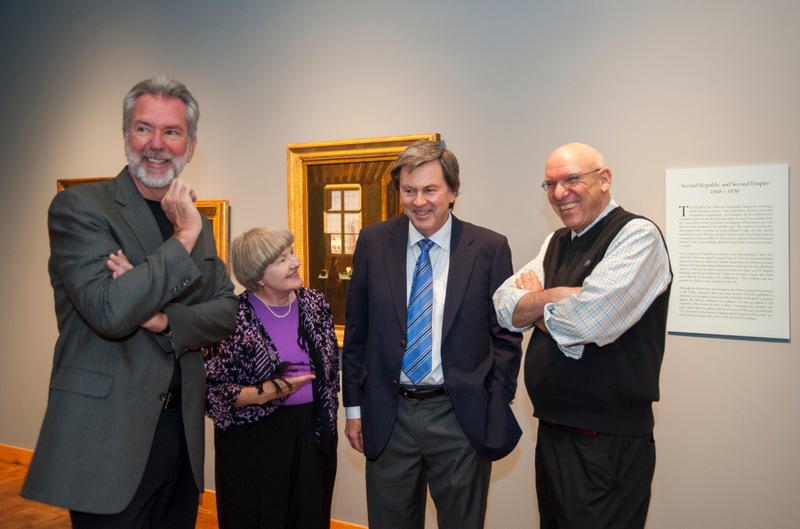 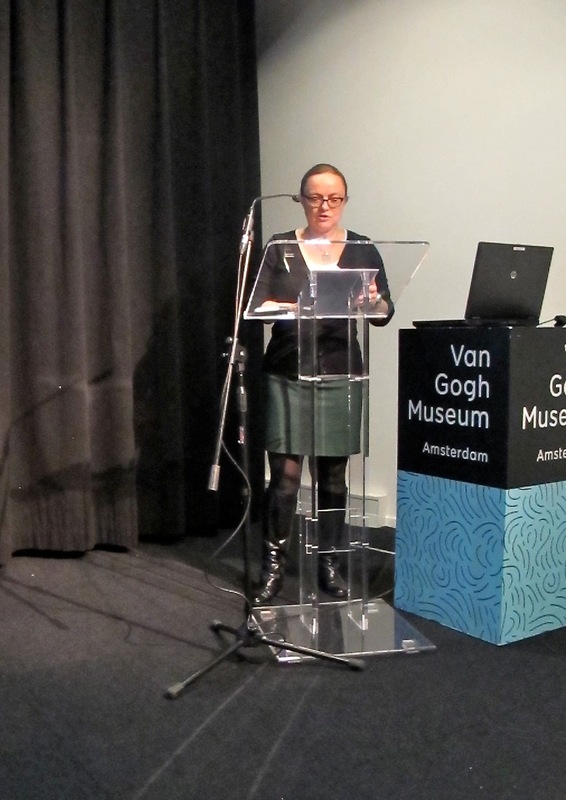 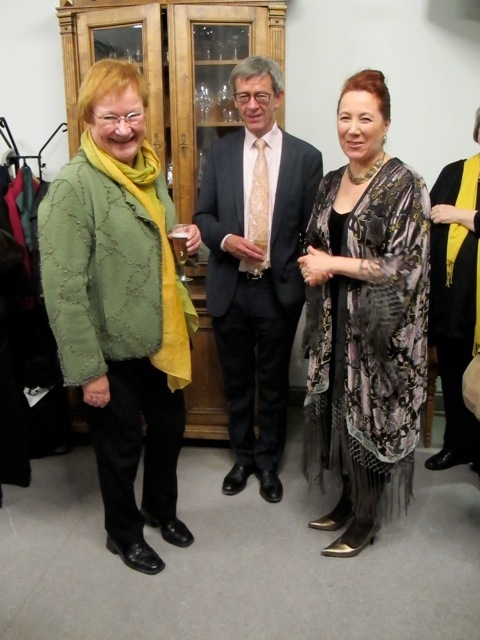 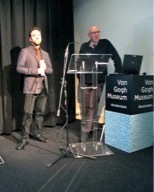 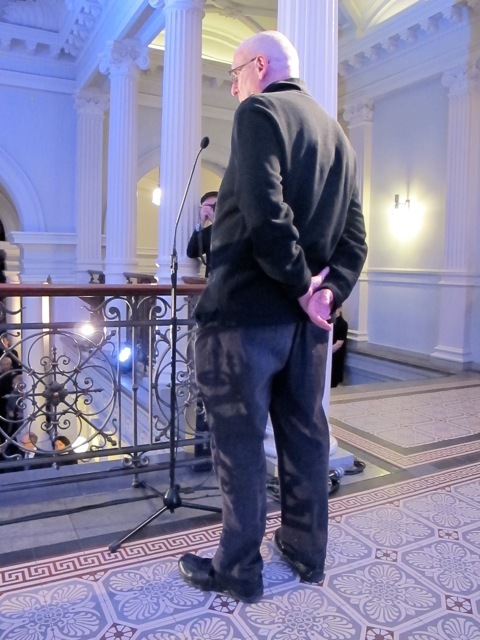 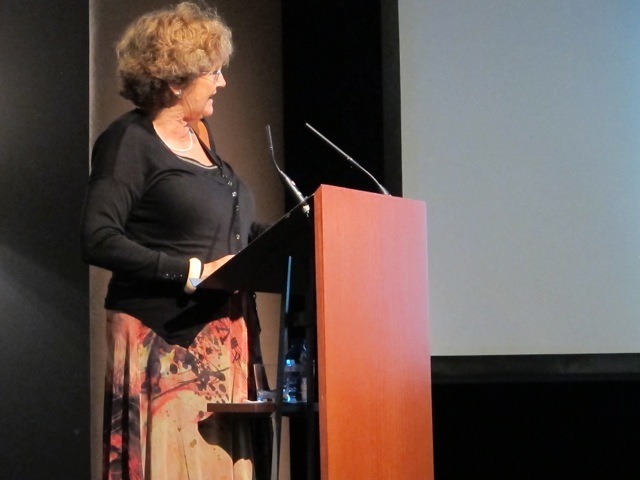 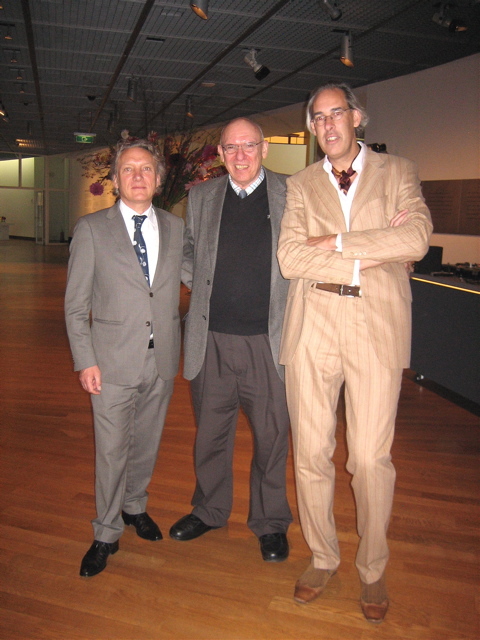 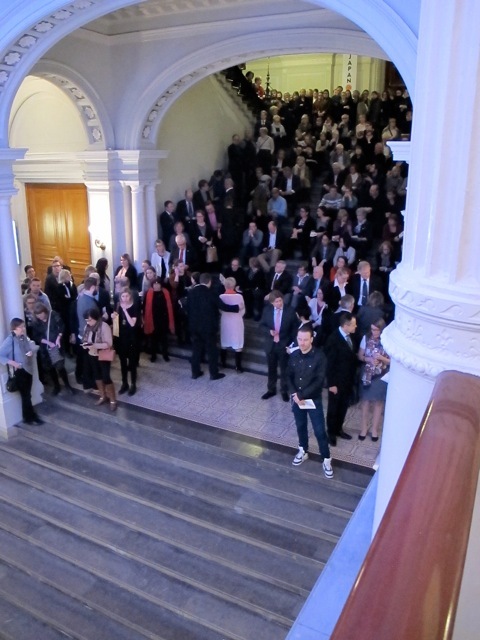 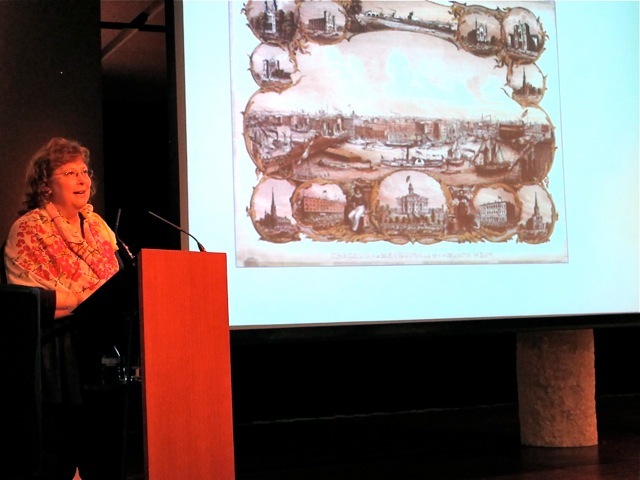 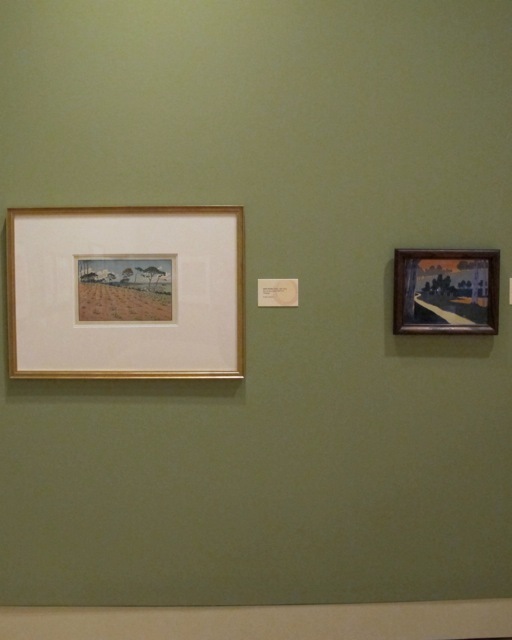 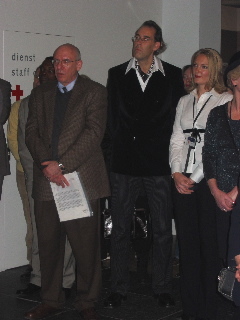 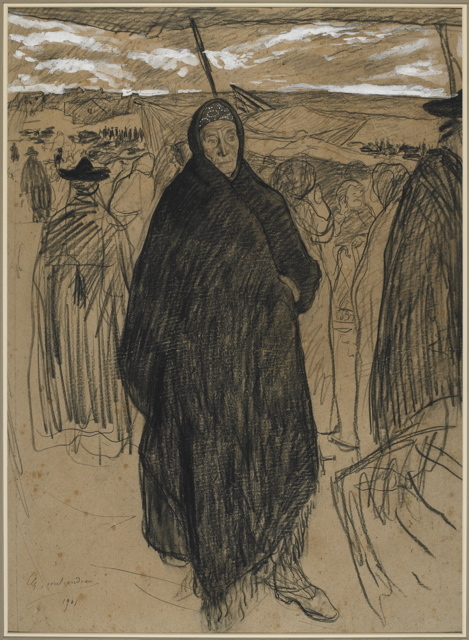 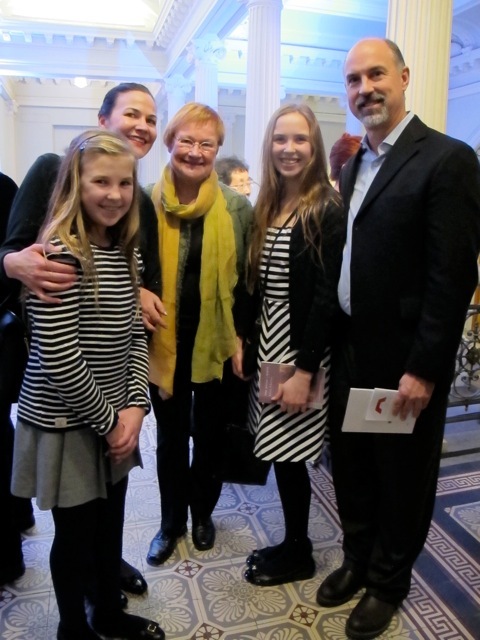 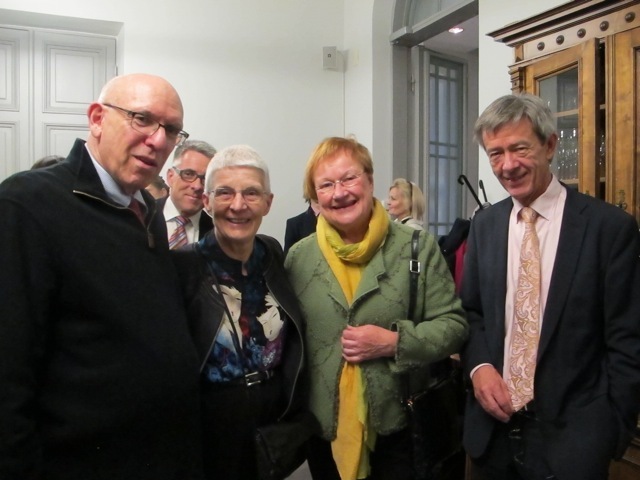 The opening of the exhibition drew a large number; visitors were able to hear introductions to the show by John Leighton, Director of the Van Gogh Museum and Professor Weisberg. 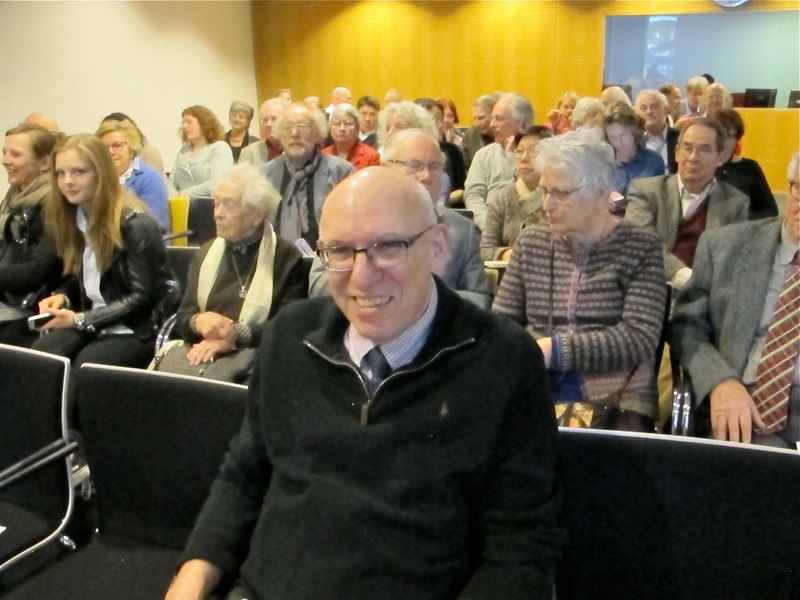 The TV documentary, prepared by Ideale Audience and broadcast in Holland through Avro, drew an estimated 300,000 as an audience. 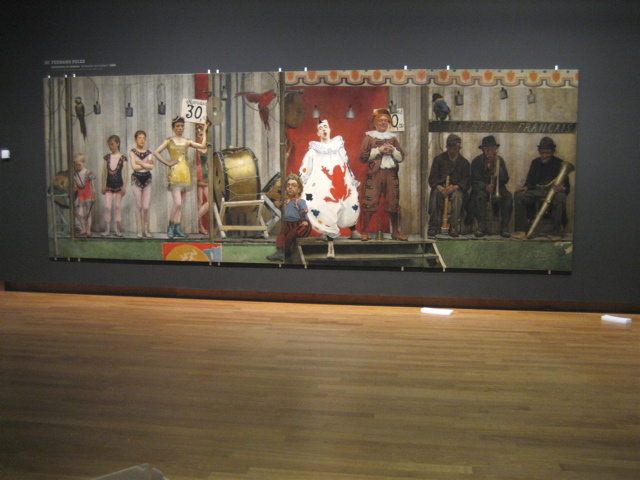 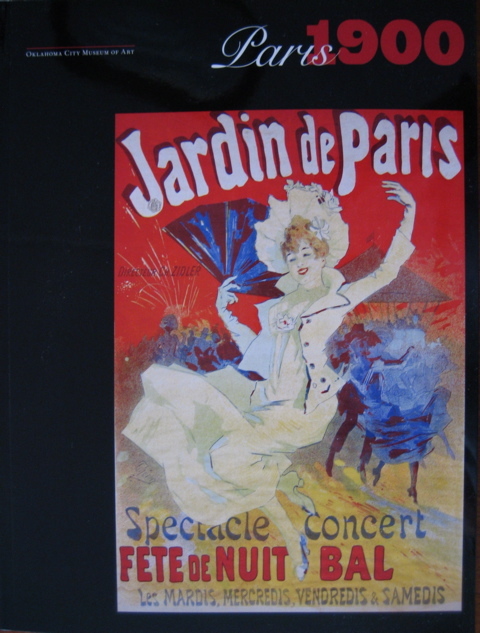 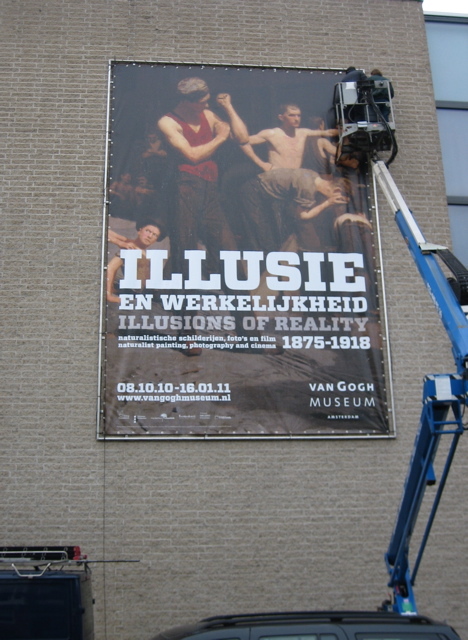 The nature of these events are chronicled here as are several views of the show itself which goes onto Munich, Barcelona and Brussels after it closes in Amsterdam.